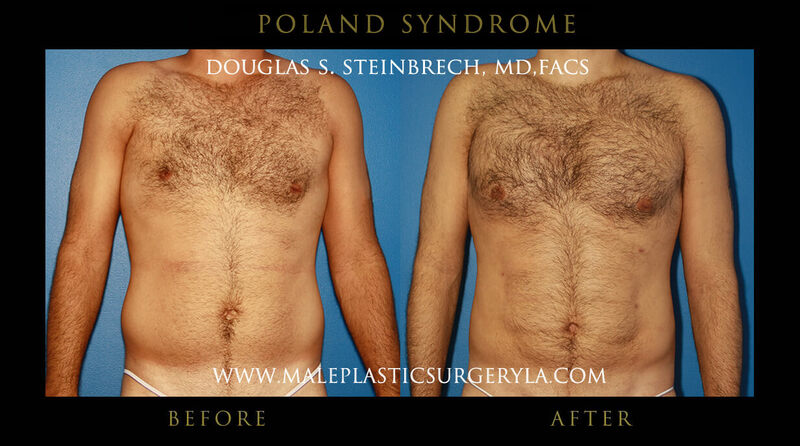 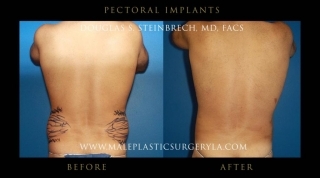 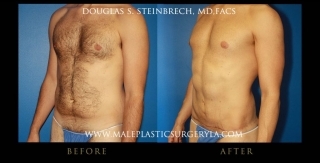 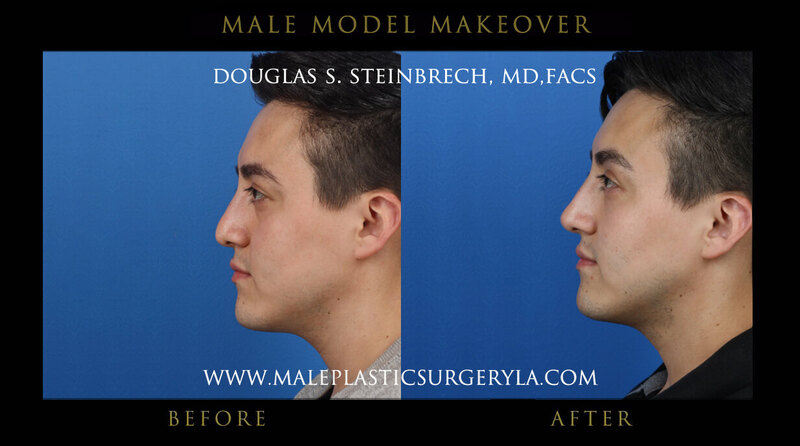 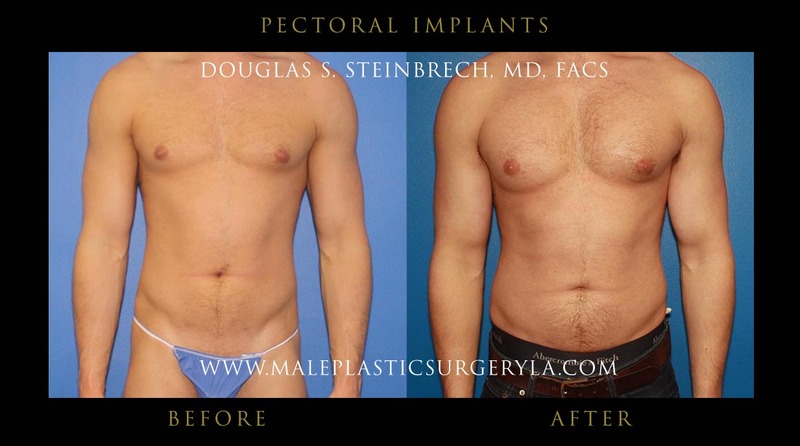 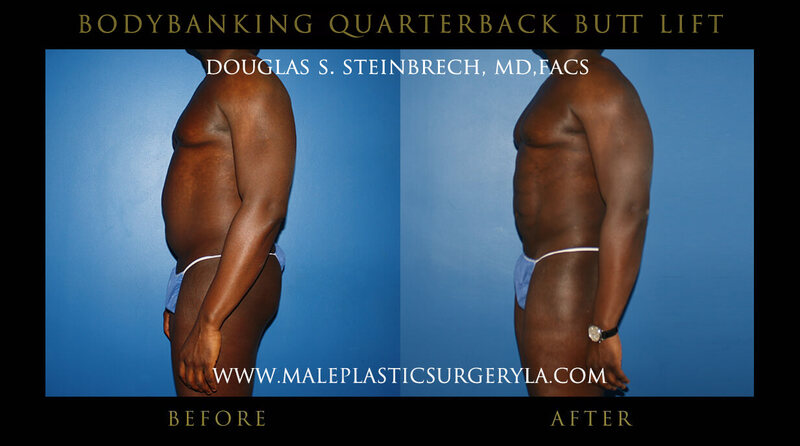 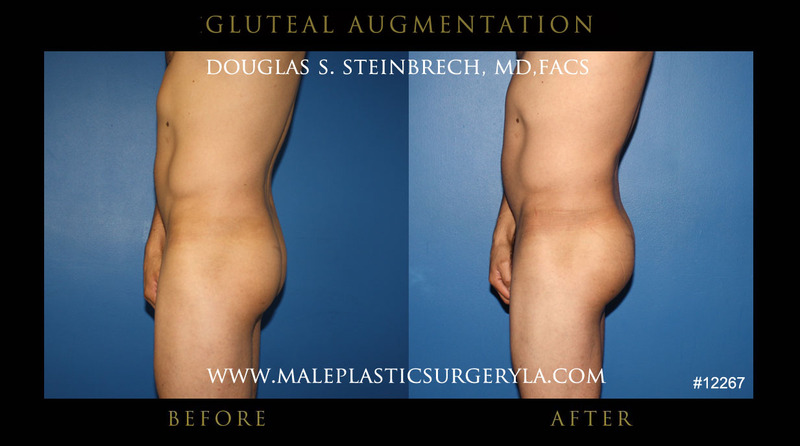 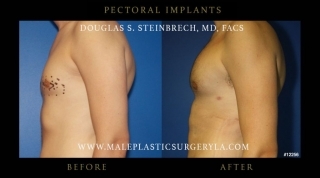 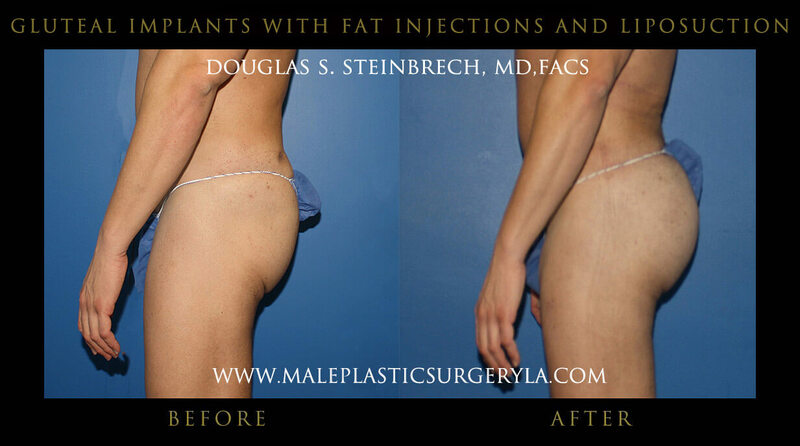 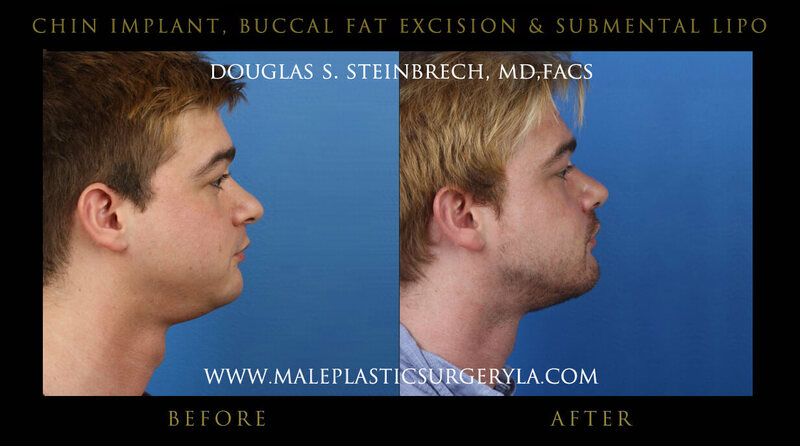 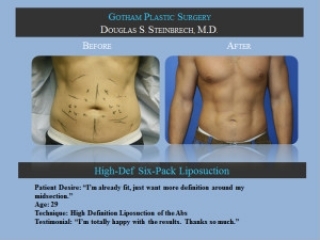 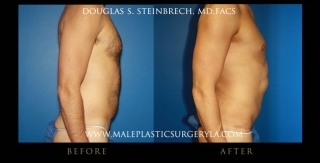 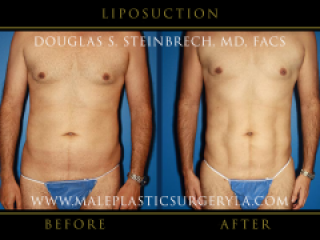 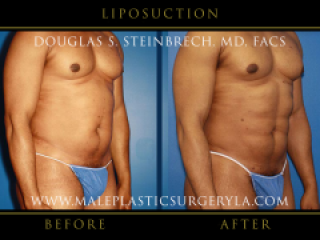 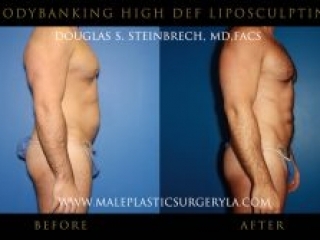 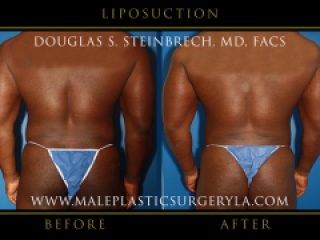 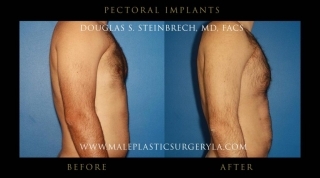 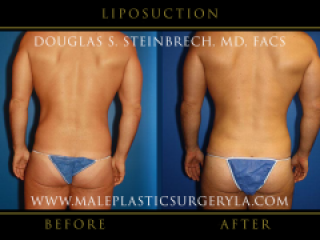 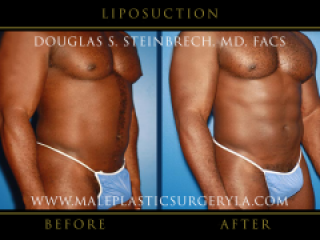 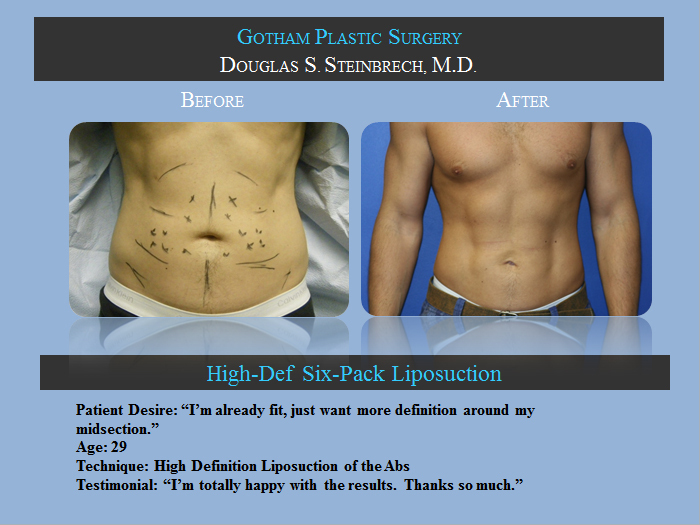 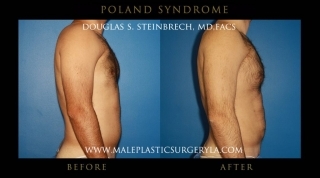 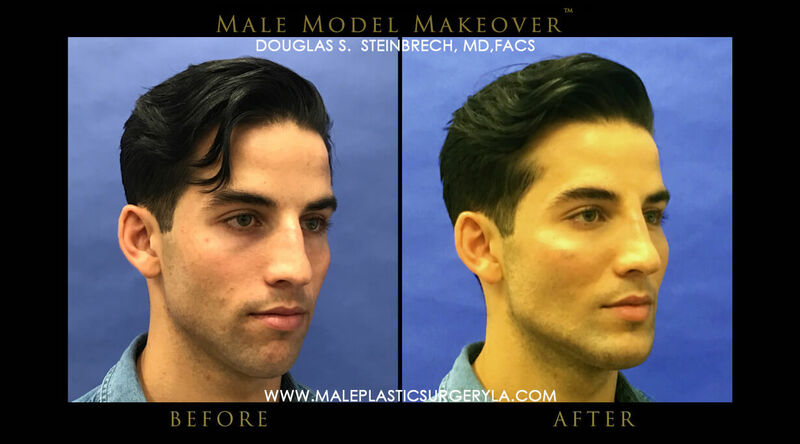 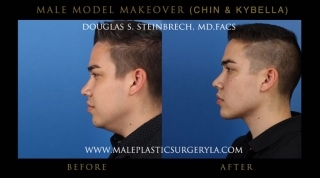 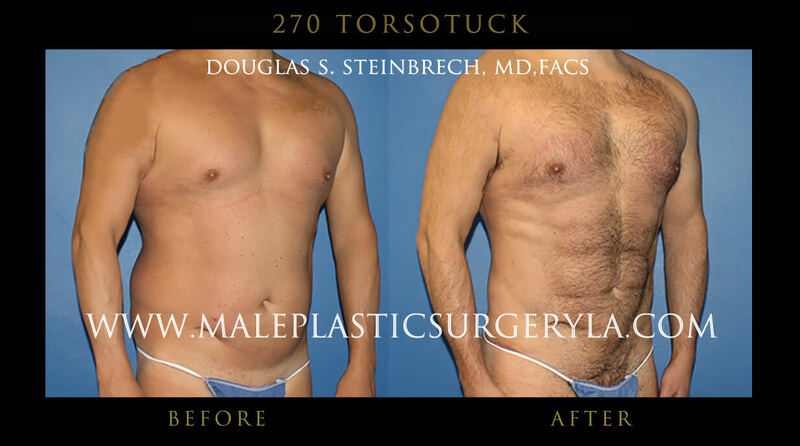 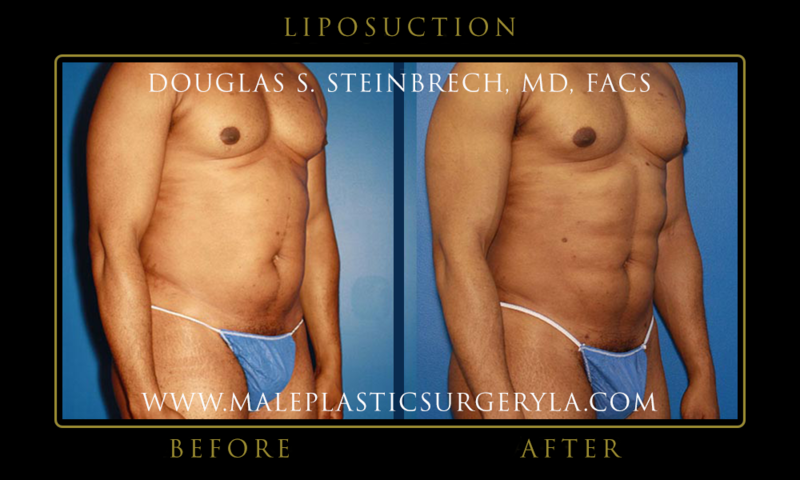 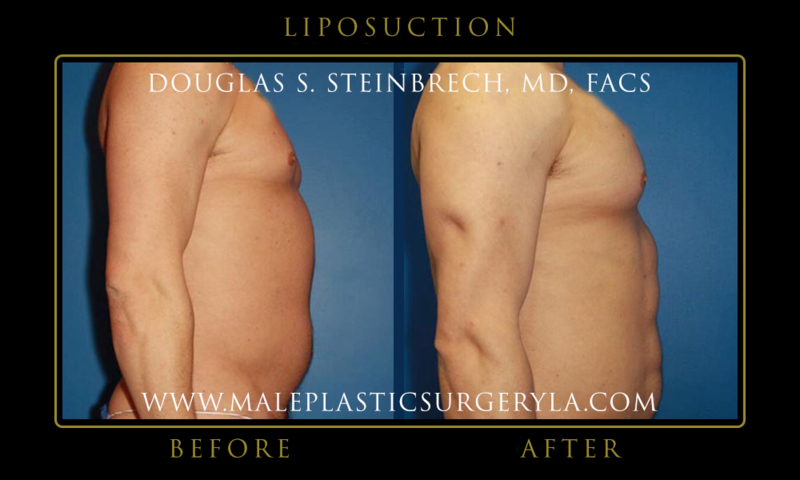 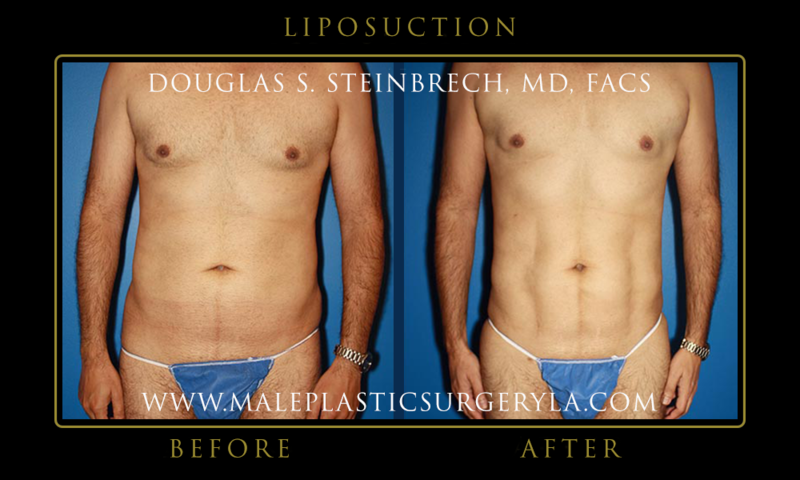 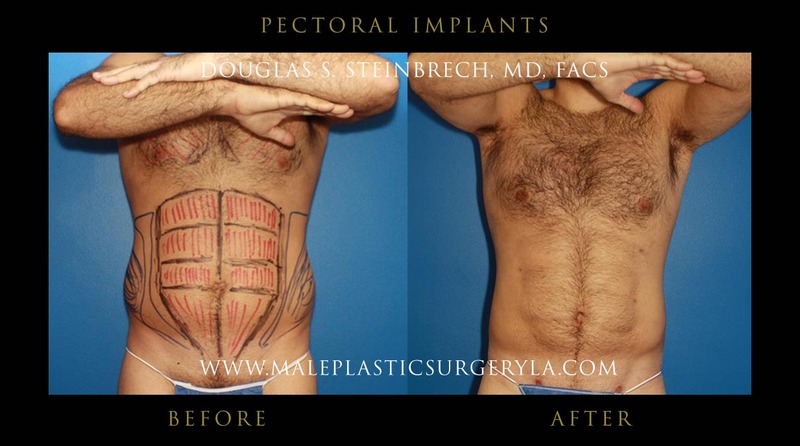 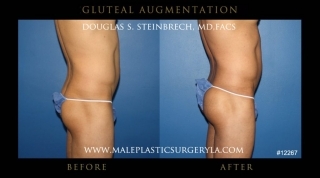 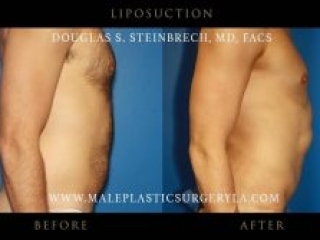 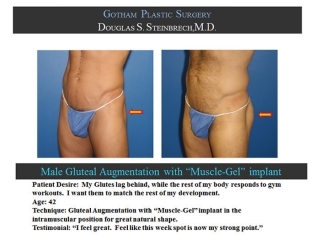 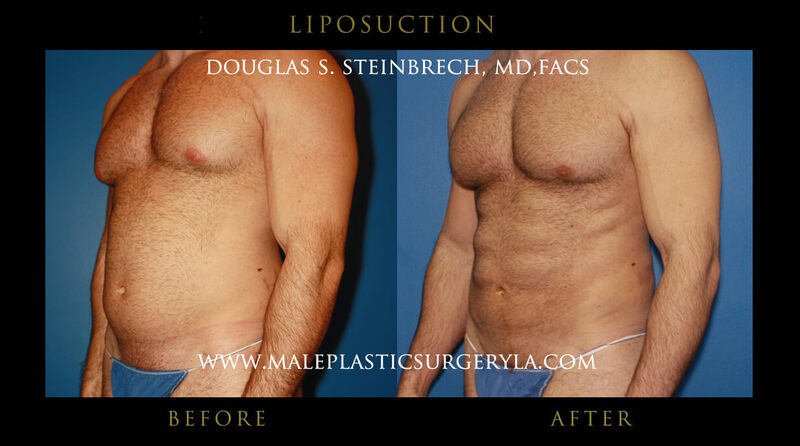 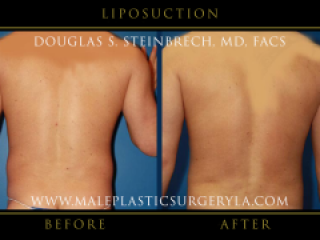 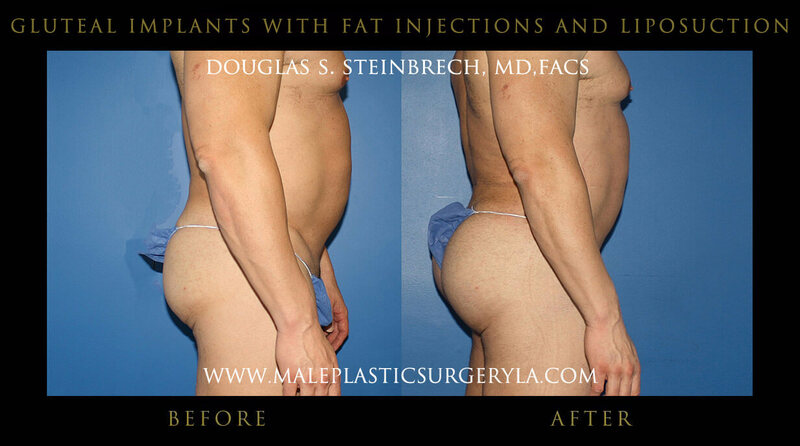 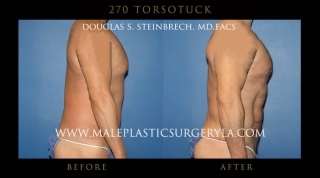 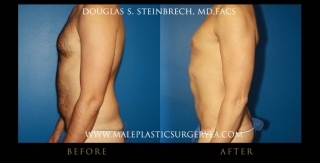 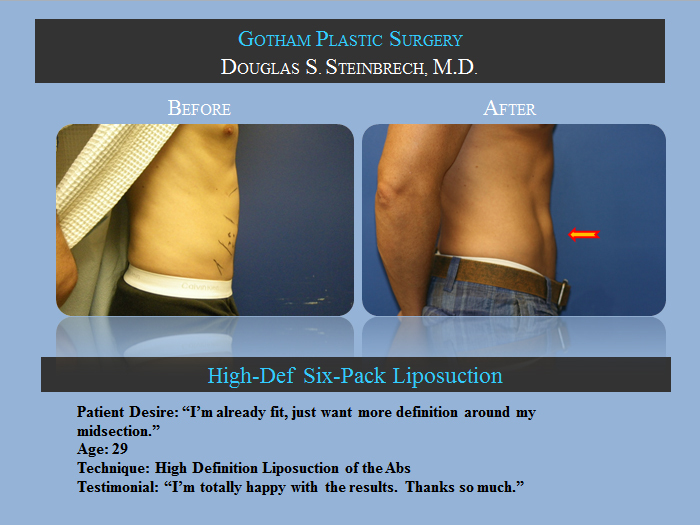 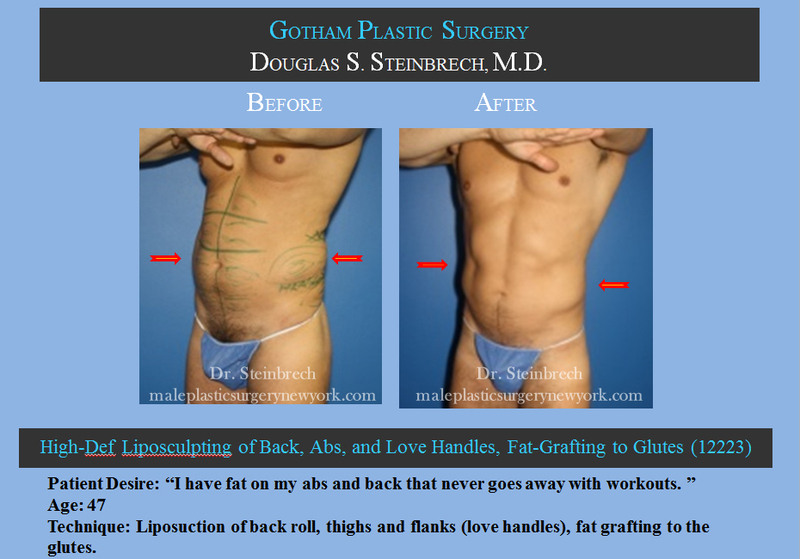 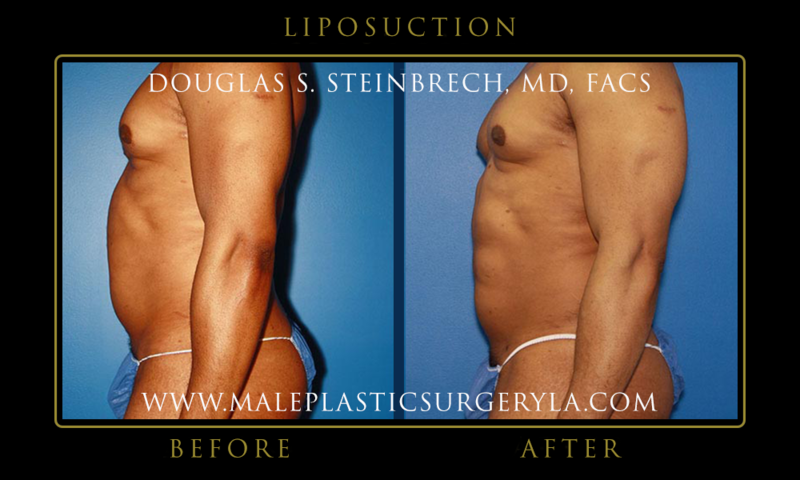 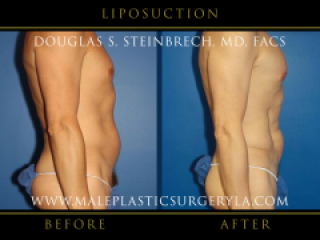 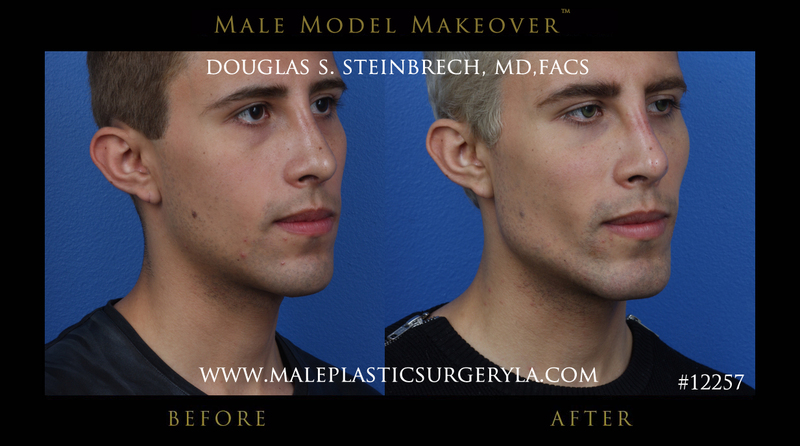 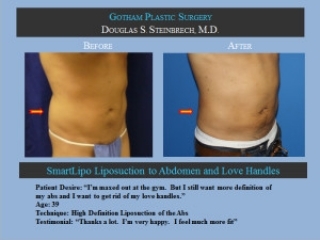 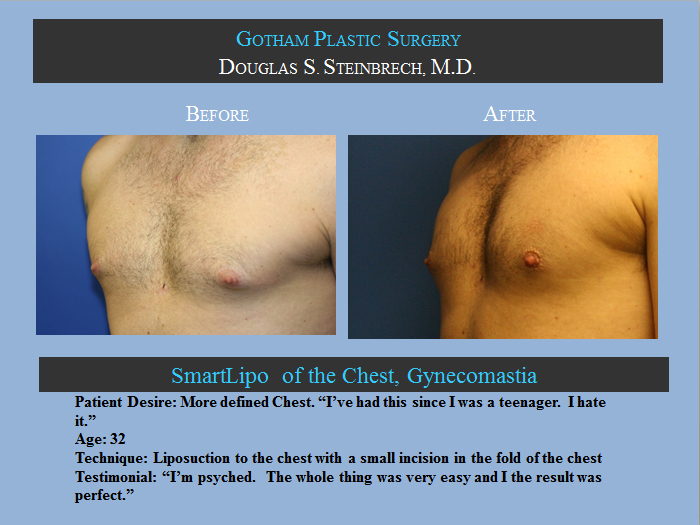 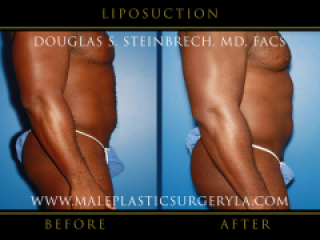 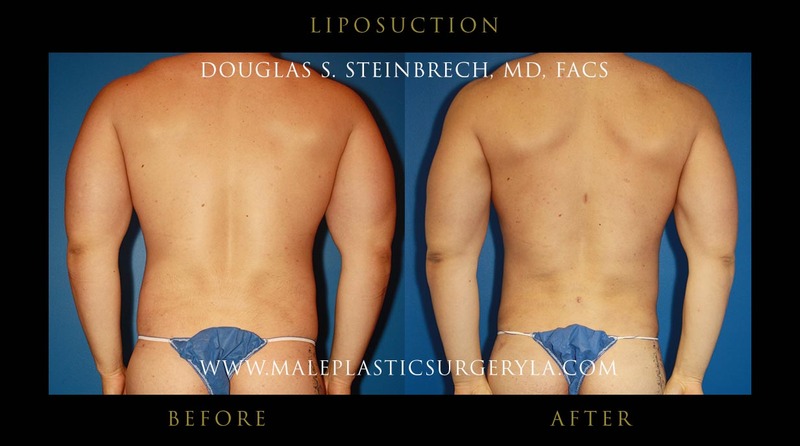 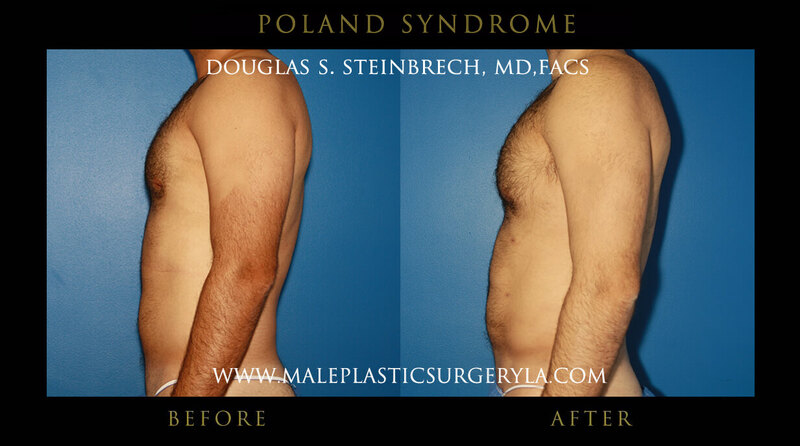 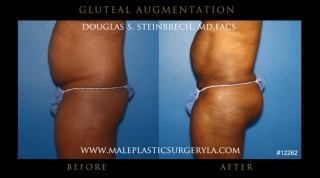 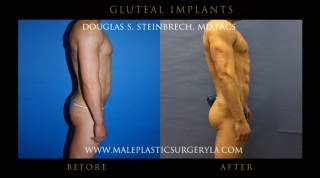 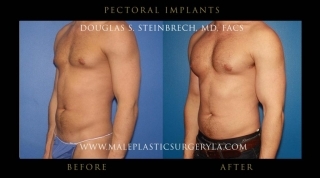 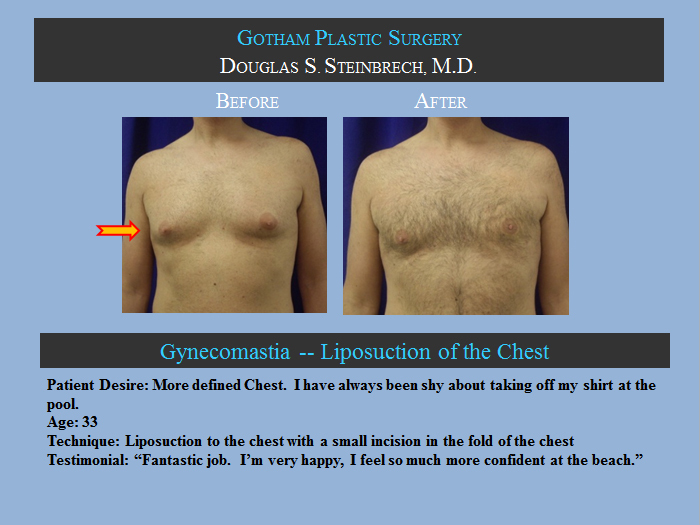 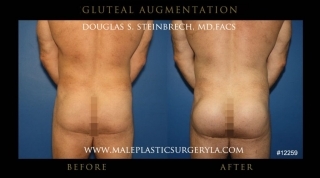 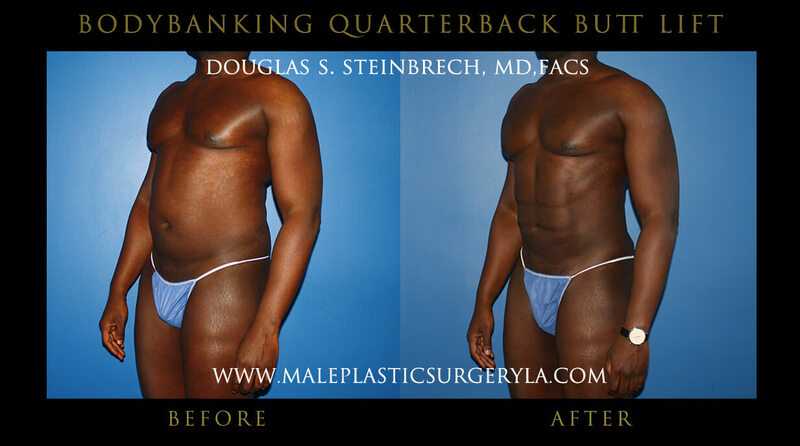 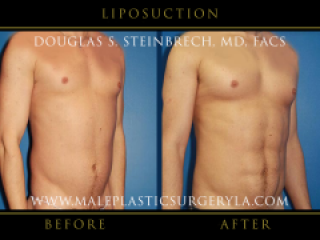 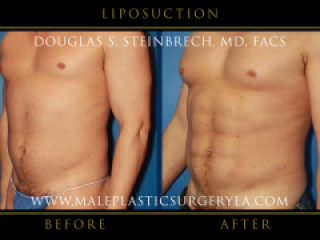 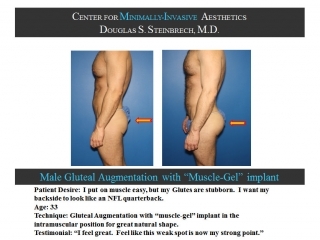 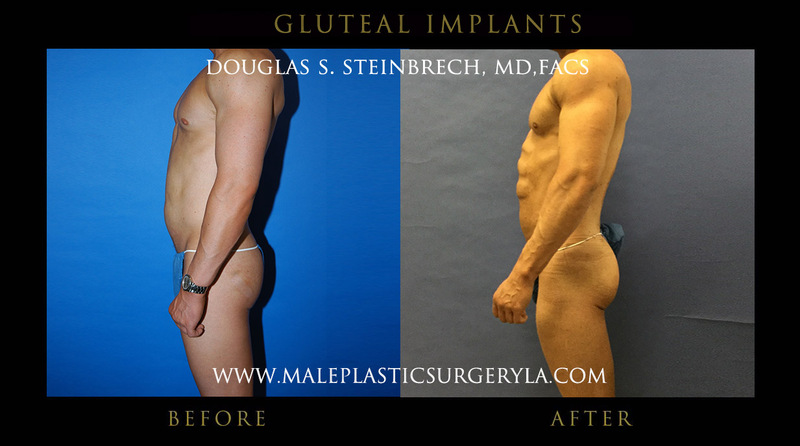 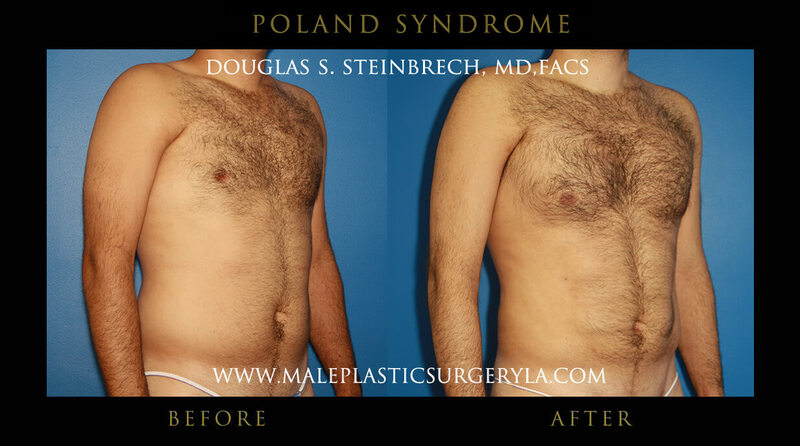 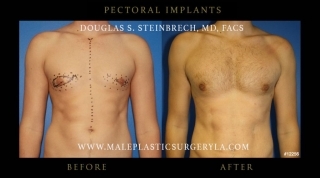 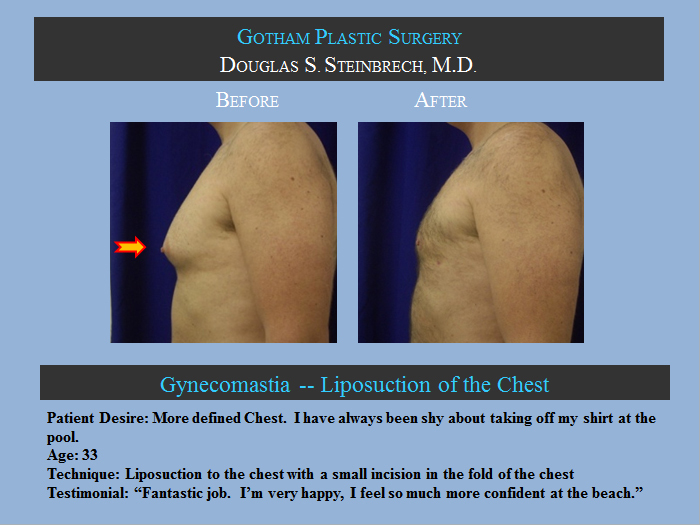 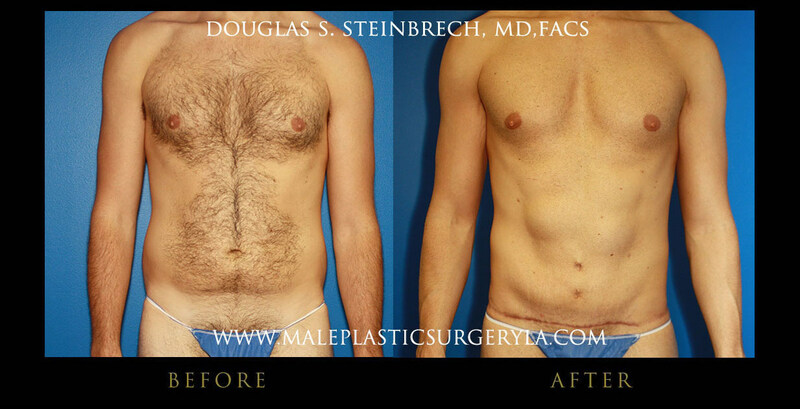 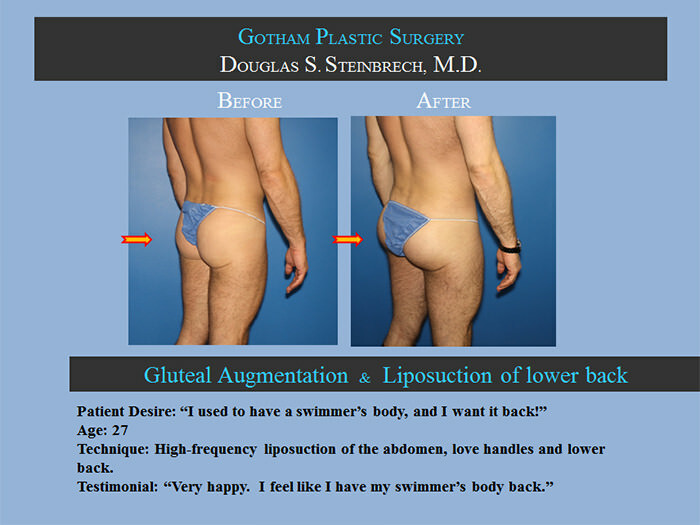 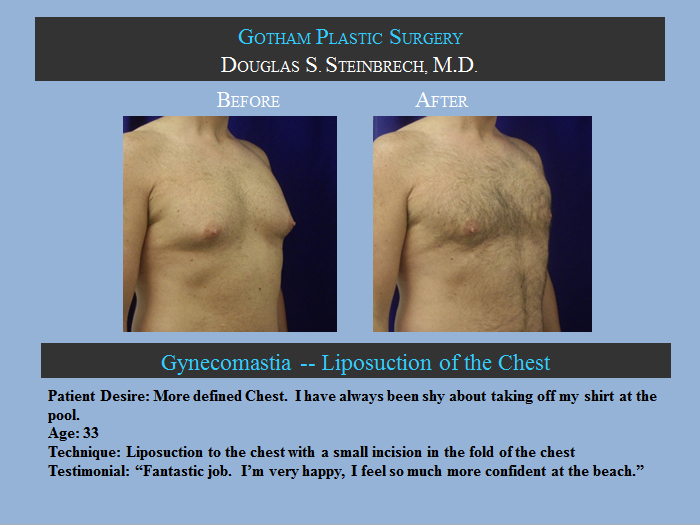 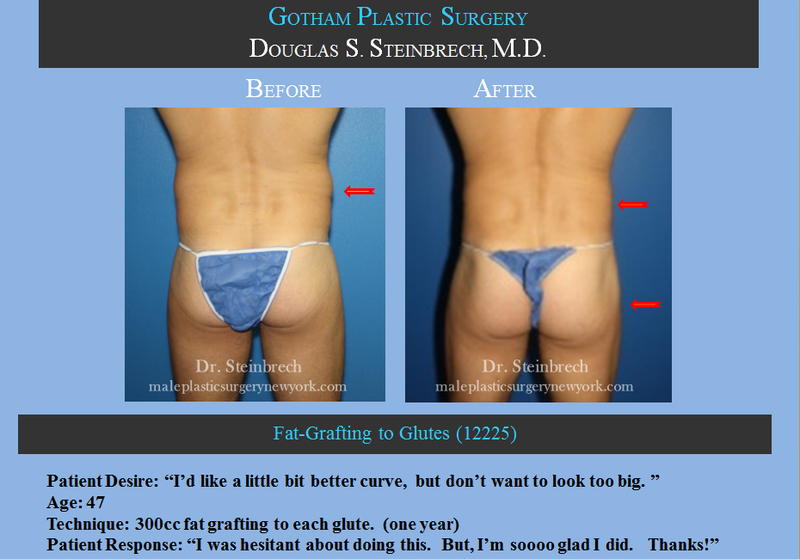 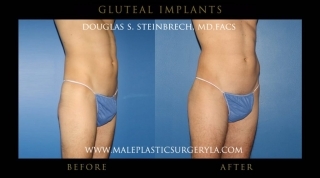 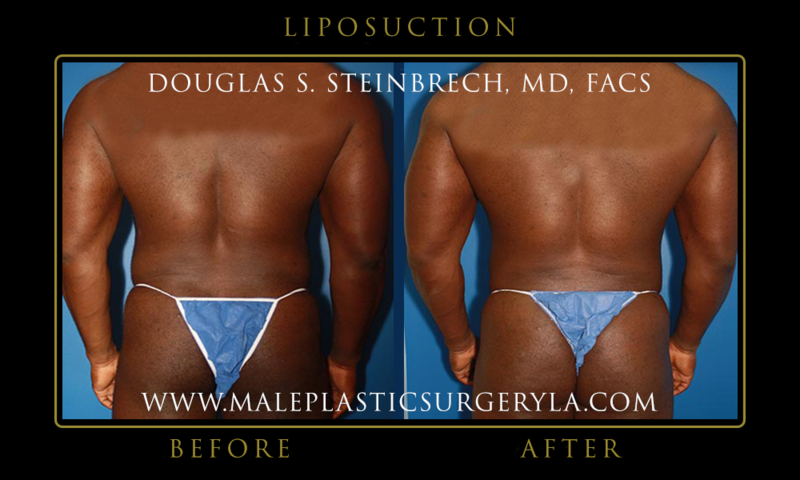 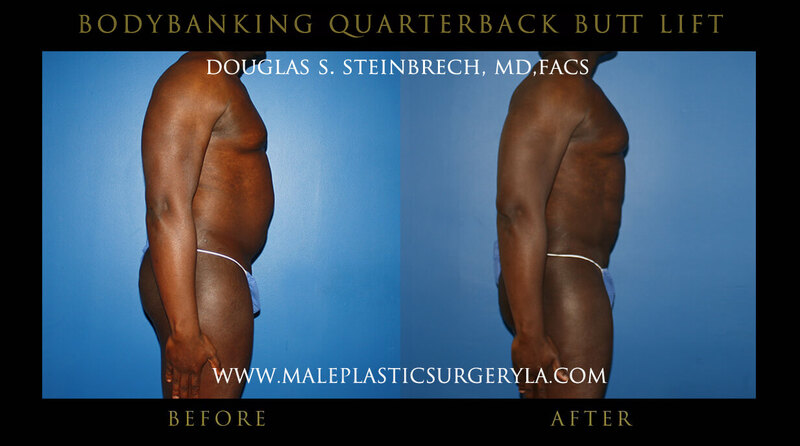 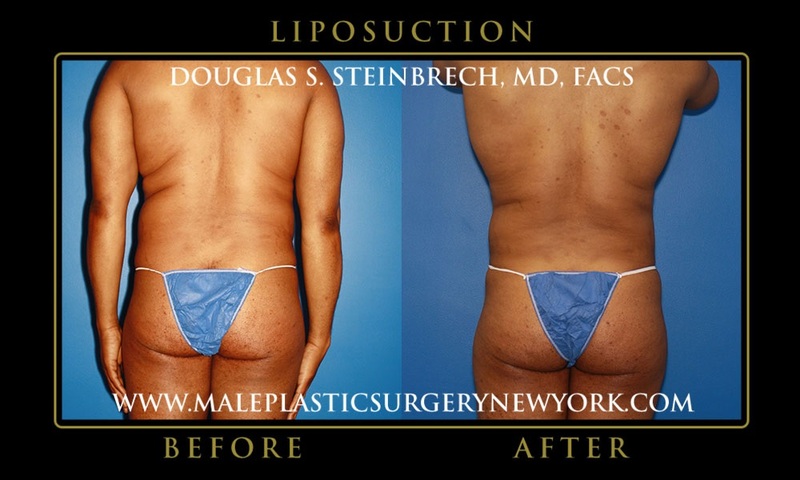 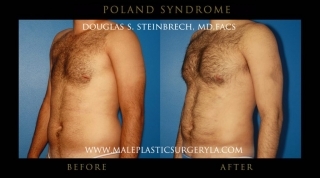 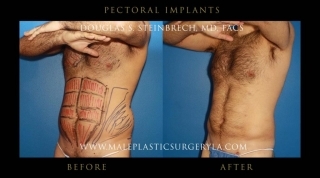 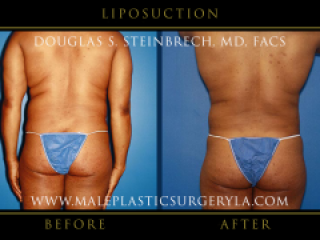 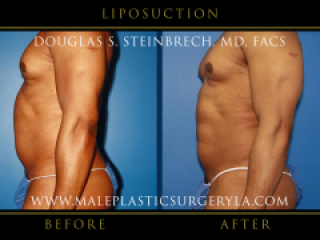 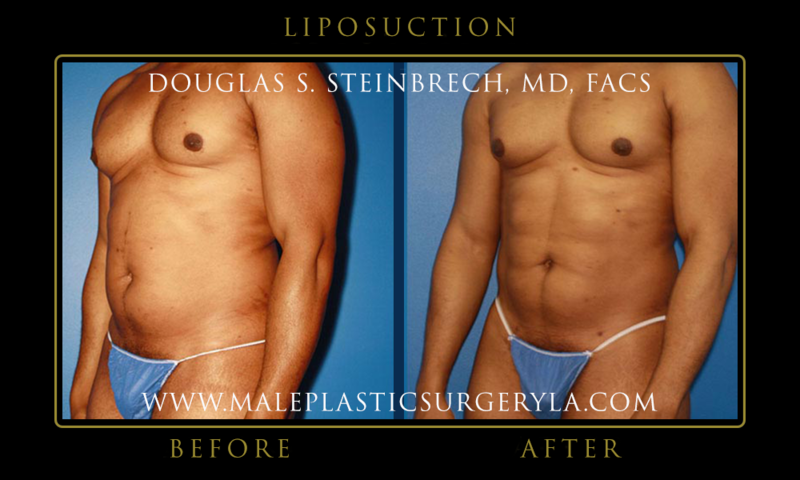 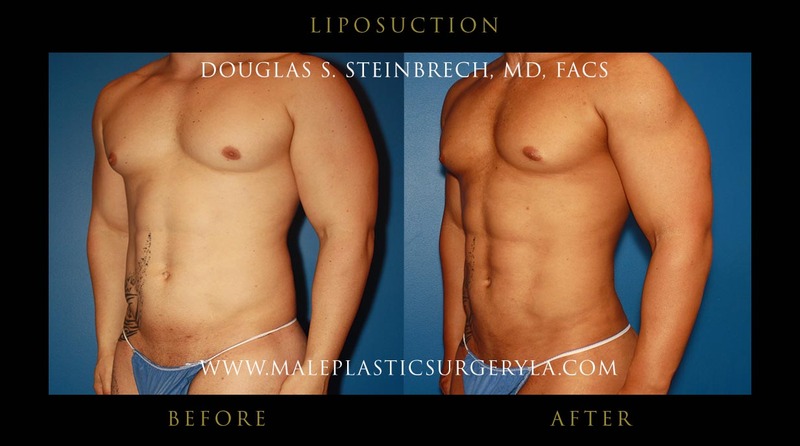 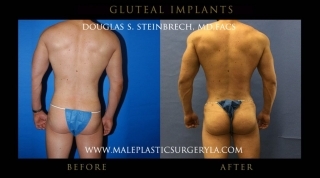 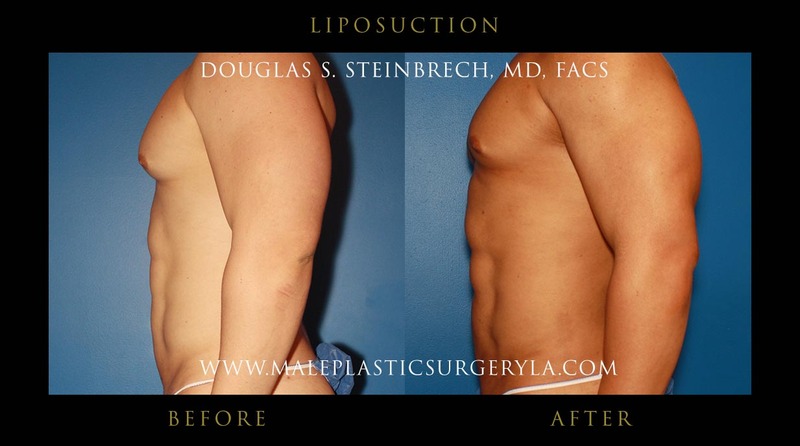 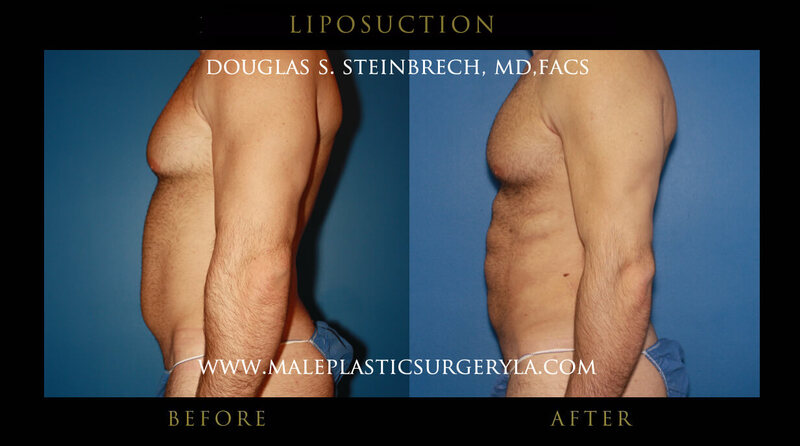 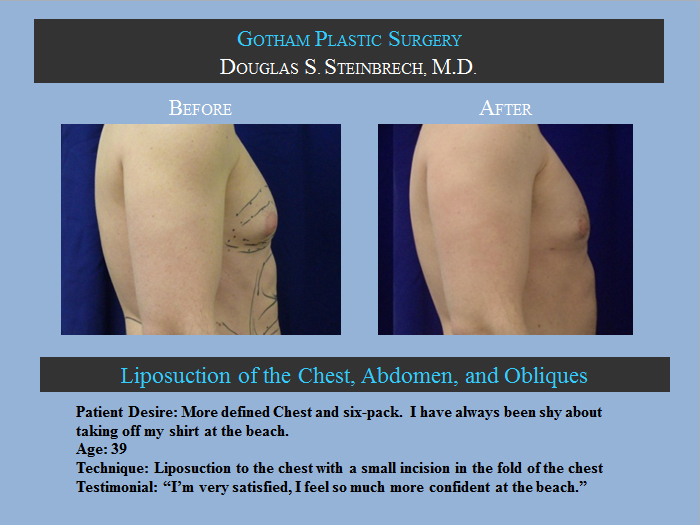 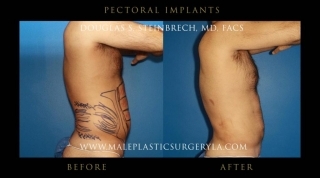 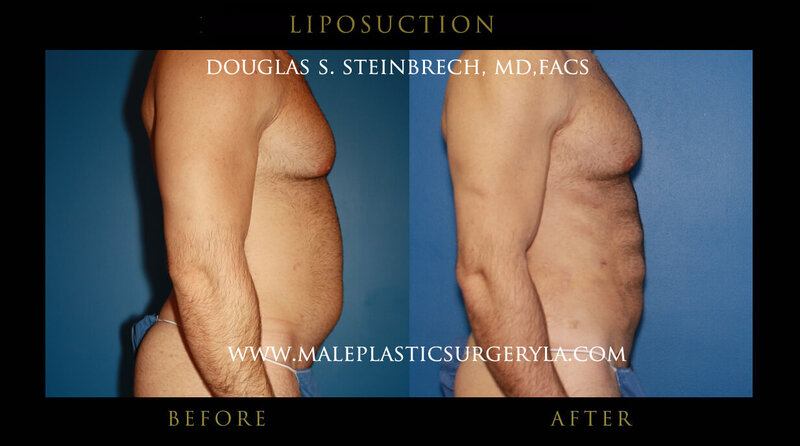 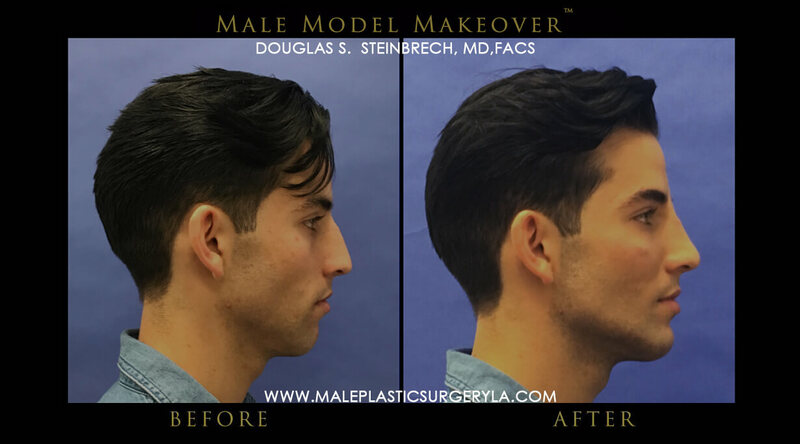 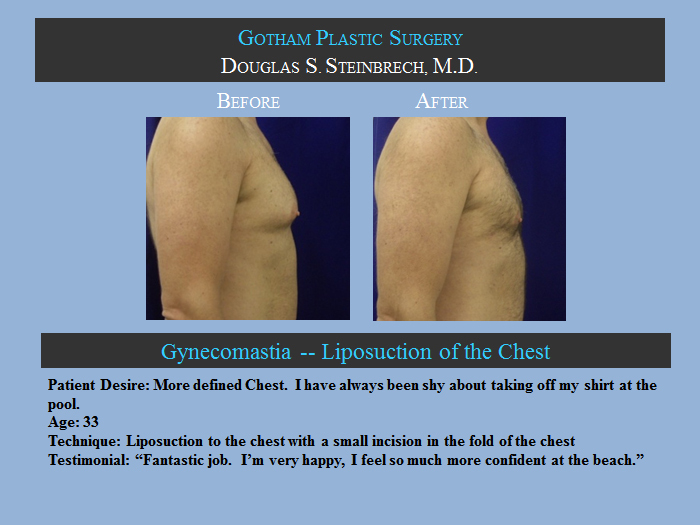 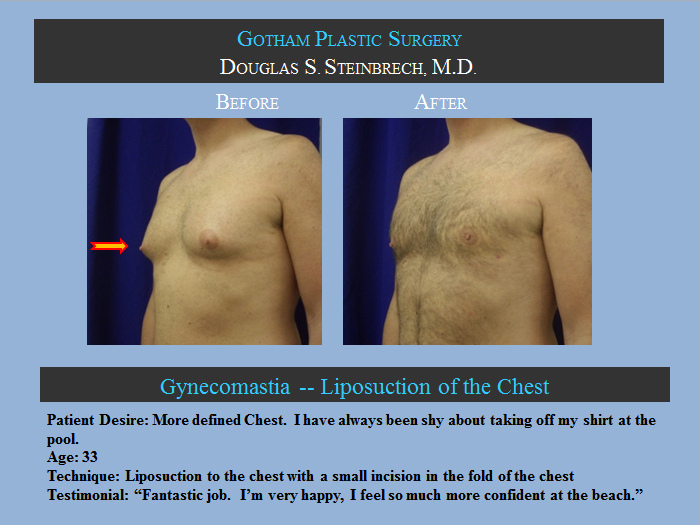 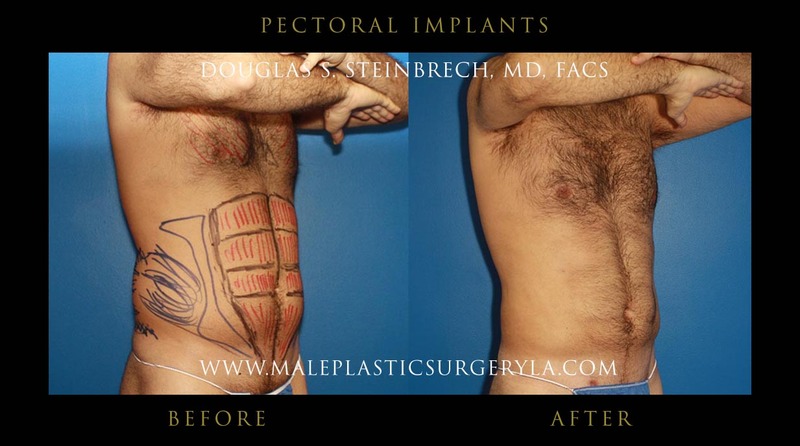 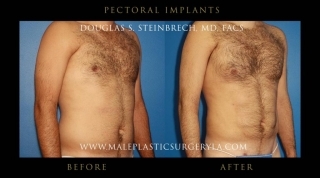 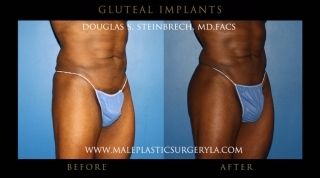 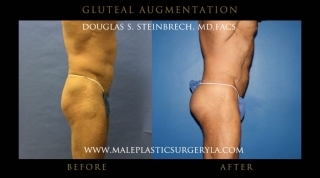 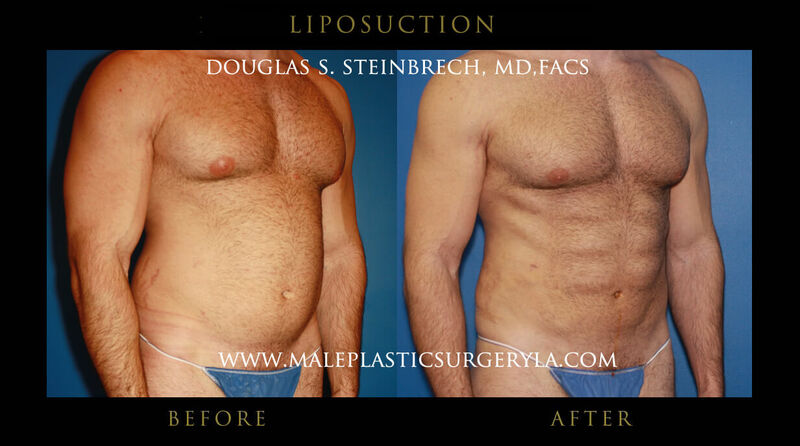 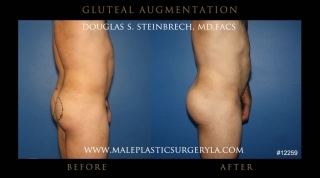 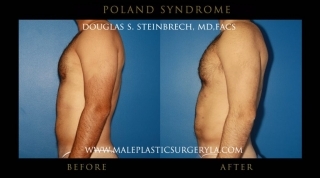 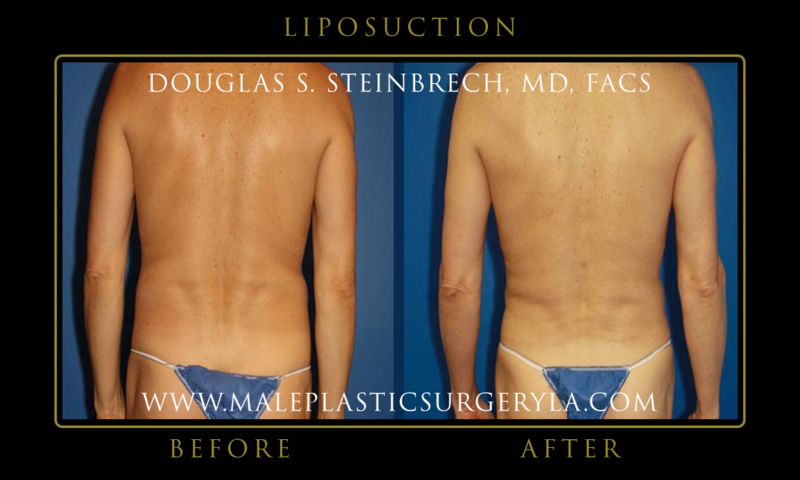 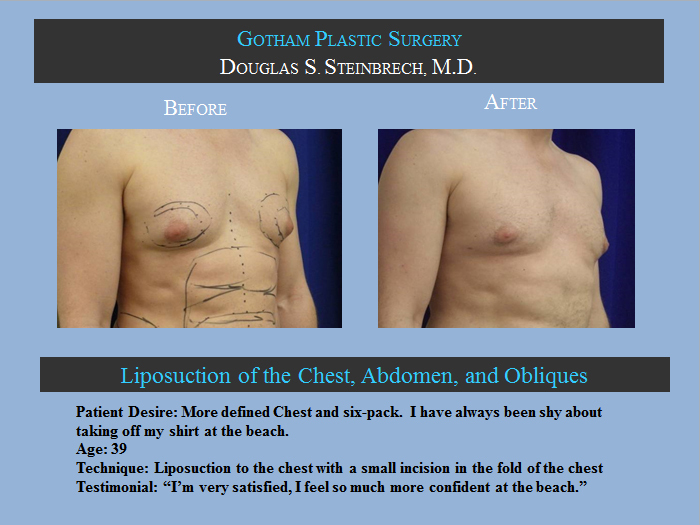 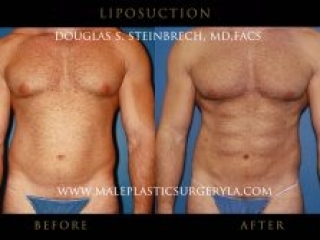 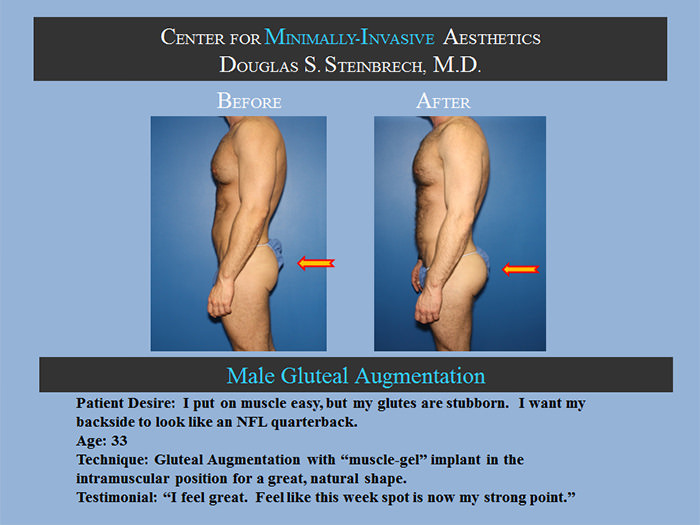 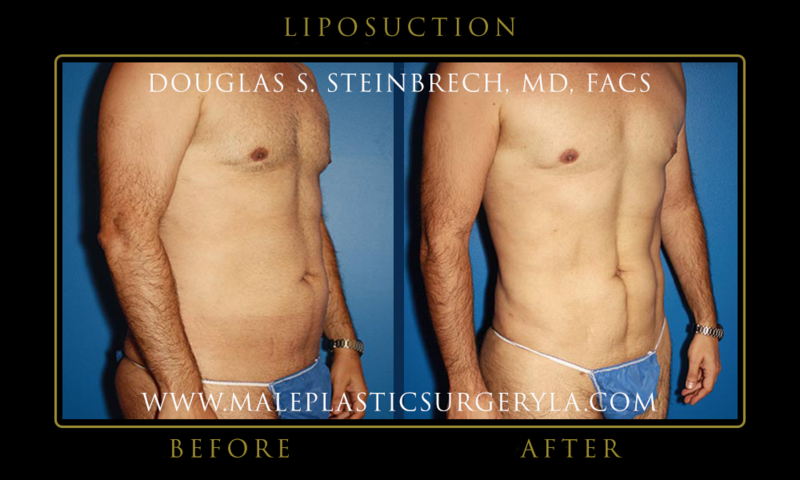 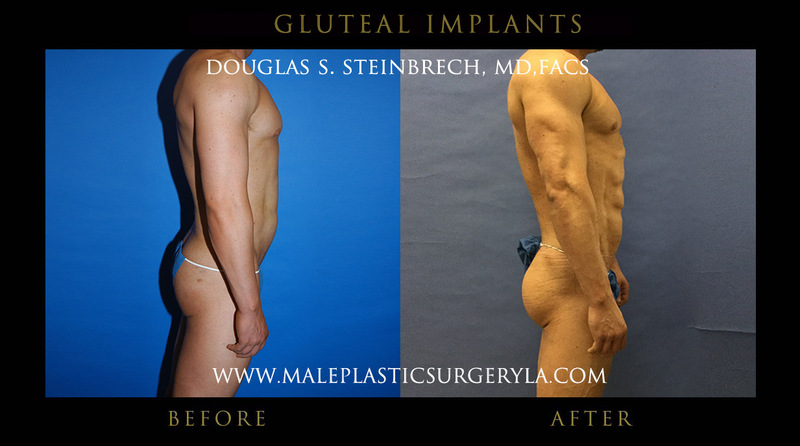 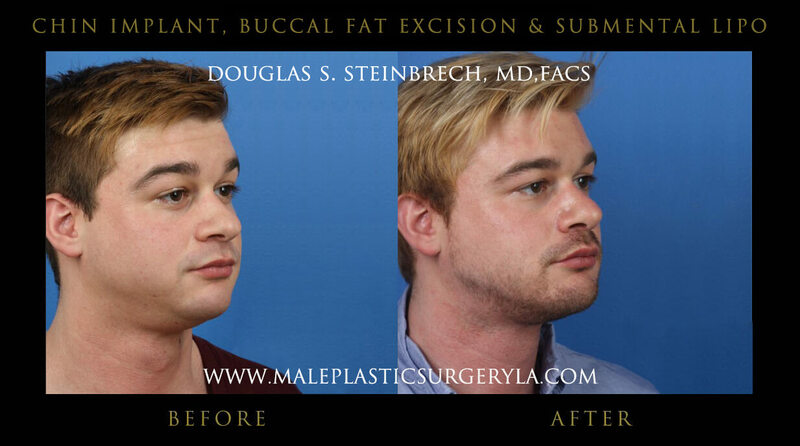 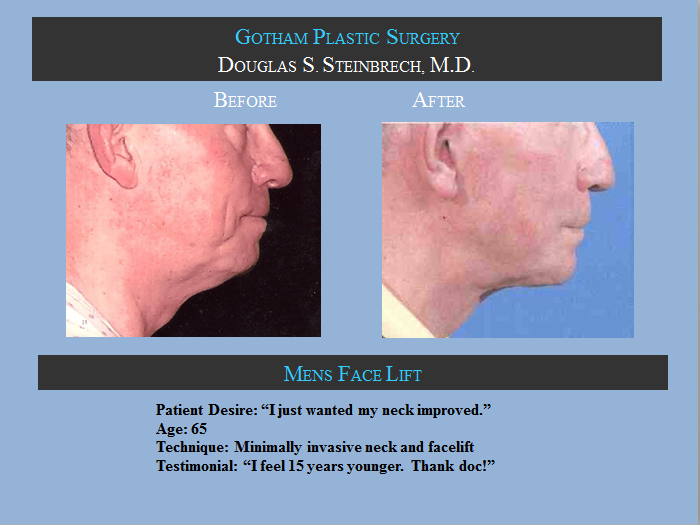 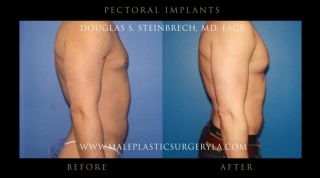 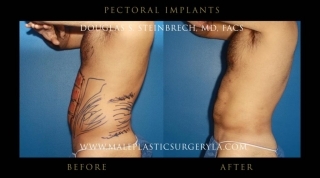 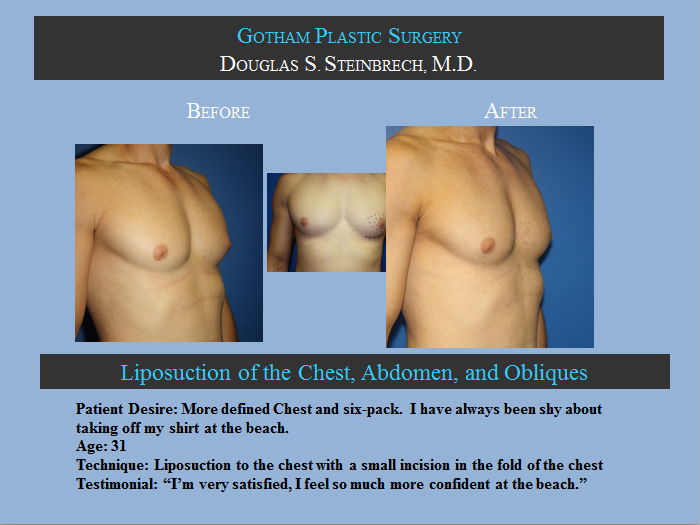 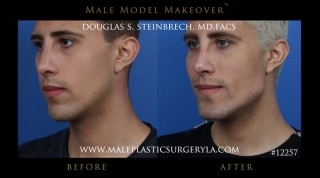 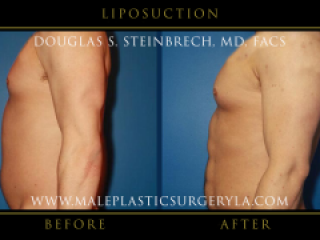 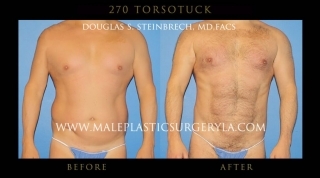 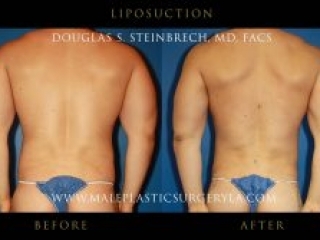 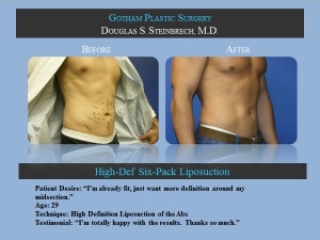 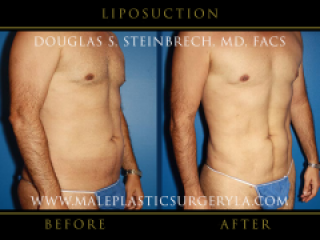 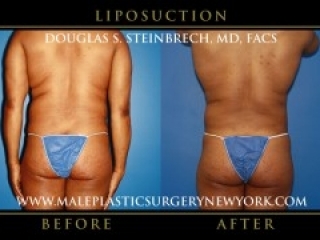 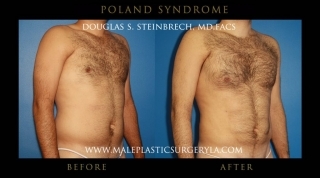 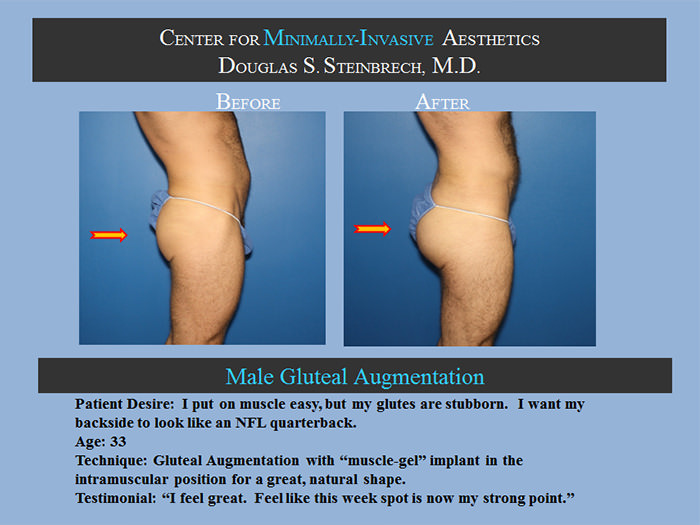 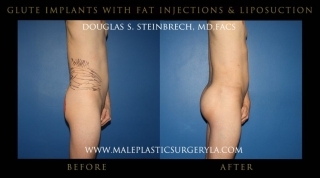 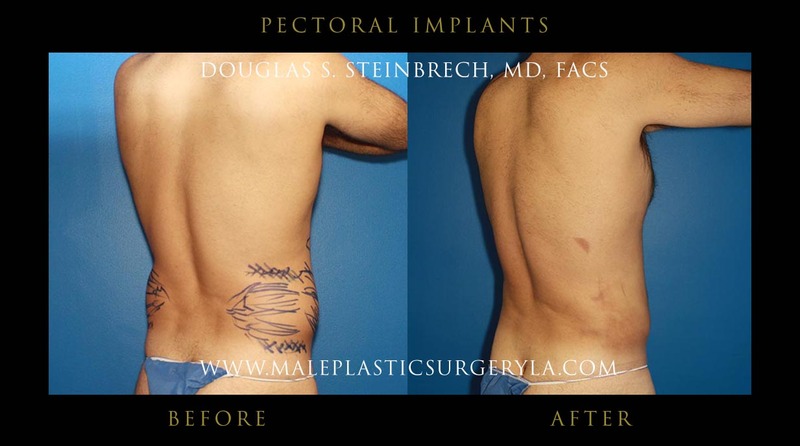 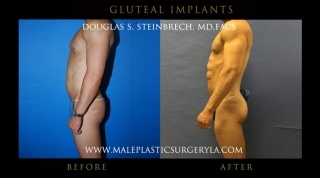 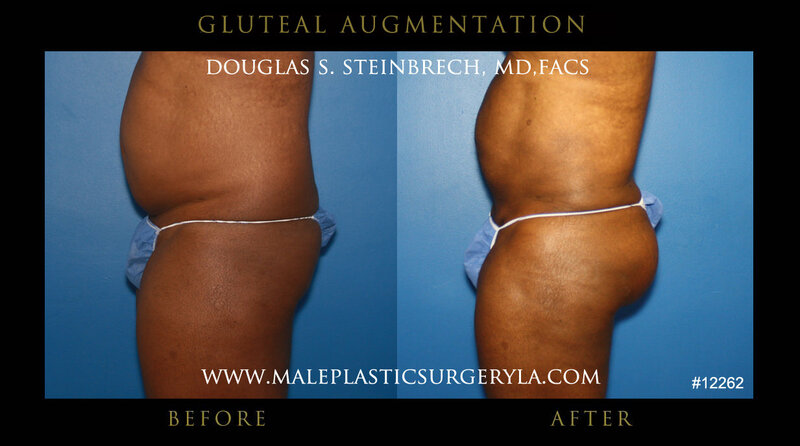 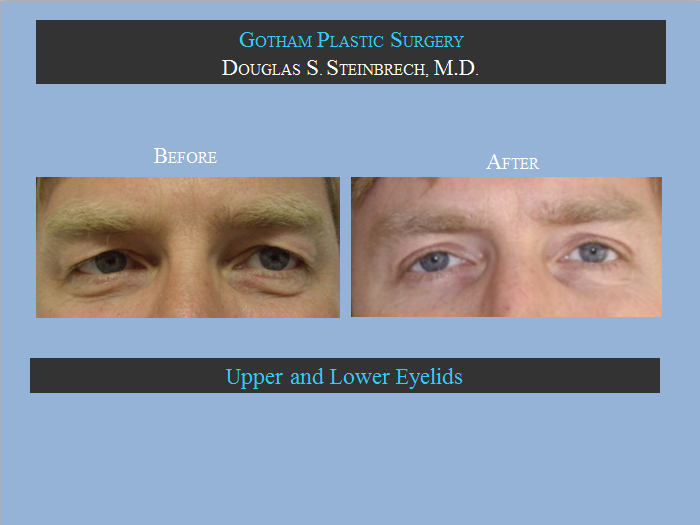 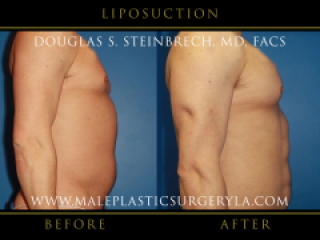 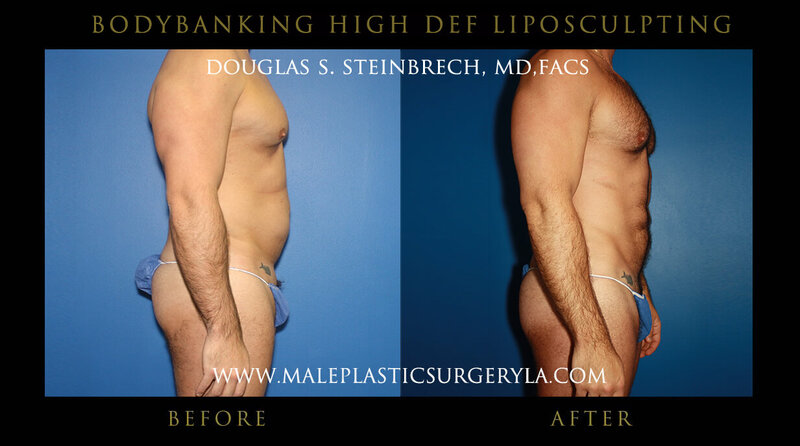 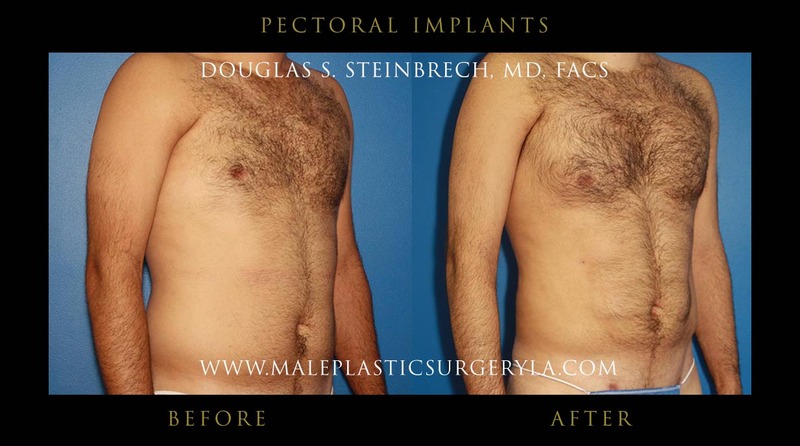 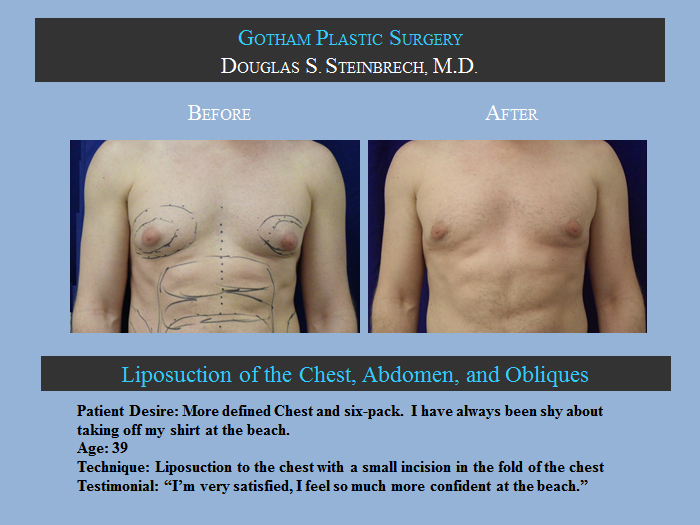 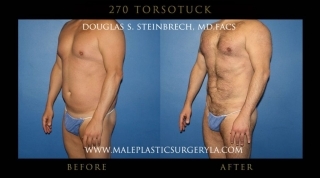 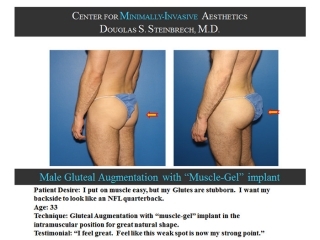 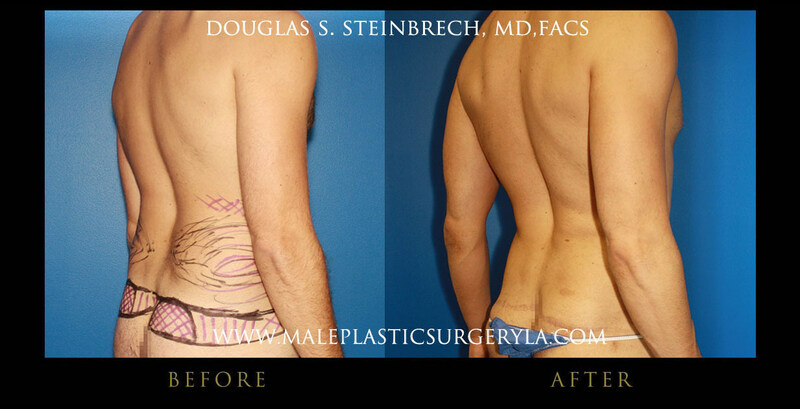 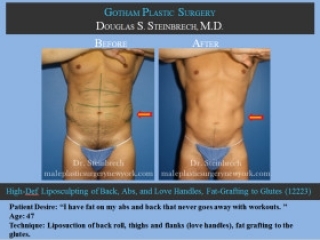 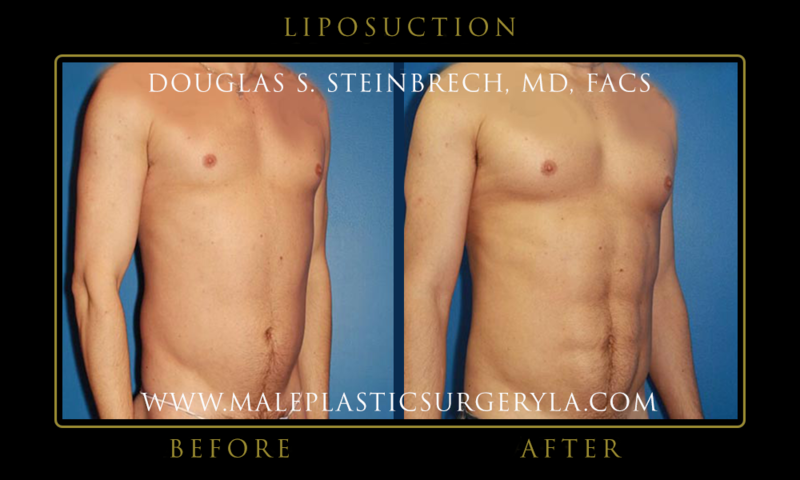 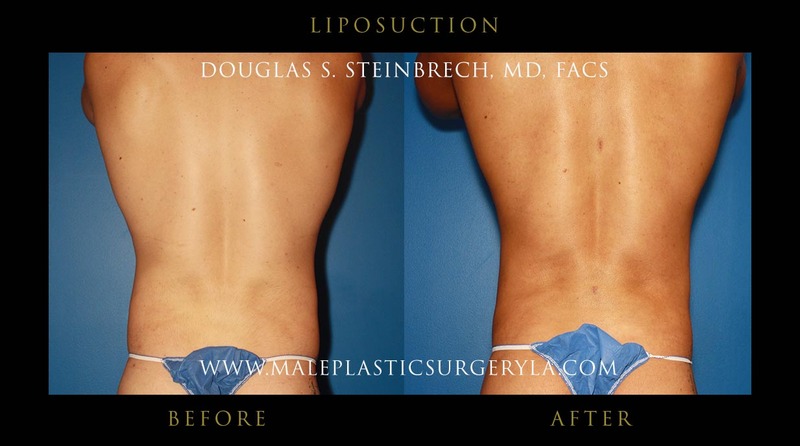 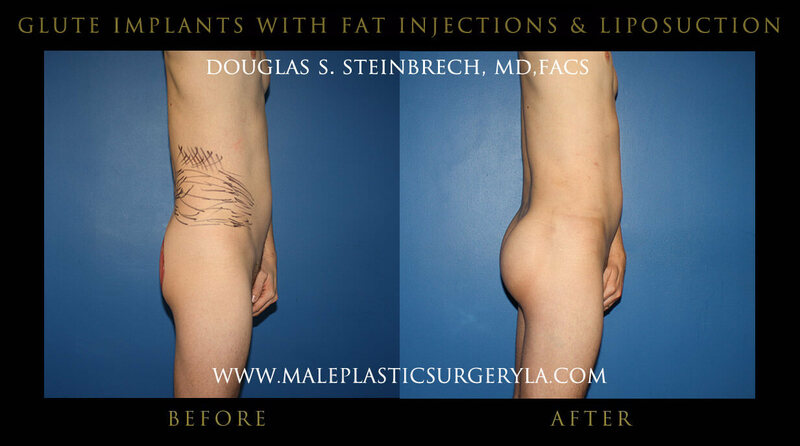 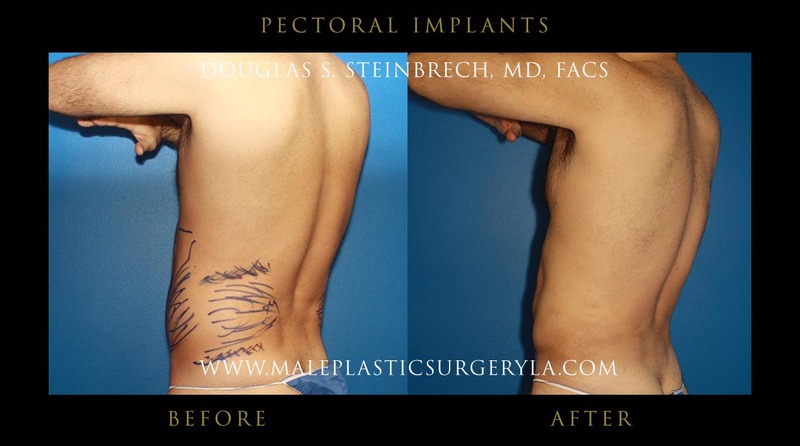 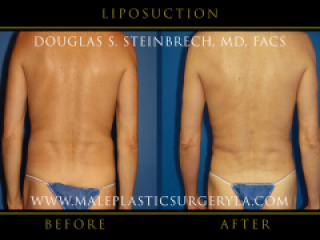 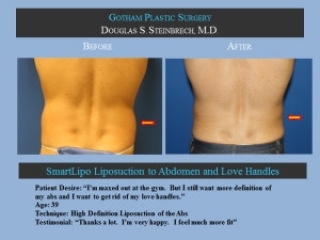 View male plastic surgery before and after photos of Los Angeles patients who had surgery performed by Dr. Douglas Steinbrech. See photo gallery of Male Plastic Surgery Los Angeles’ patients who had different male plastic surgery procedures. 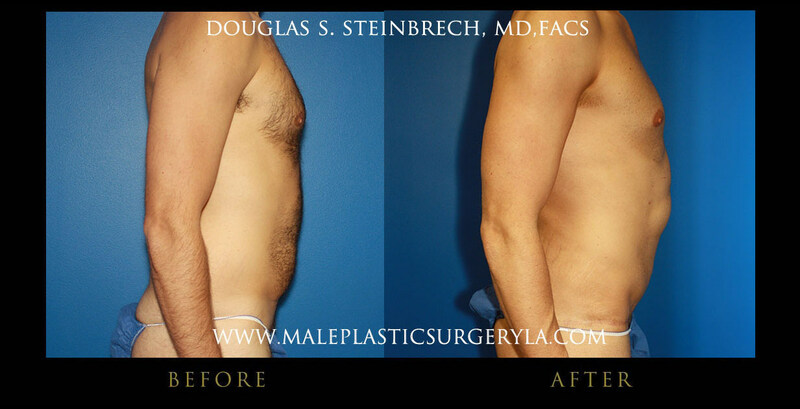 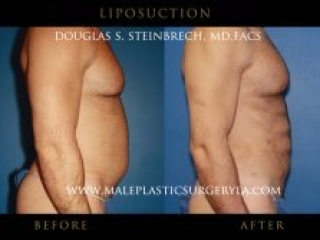 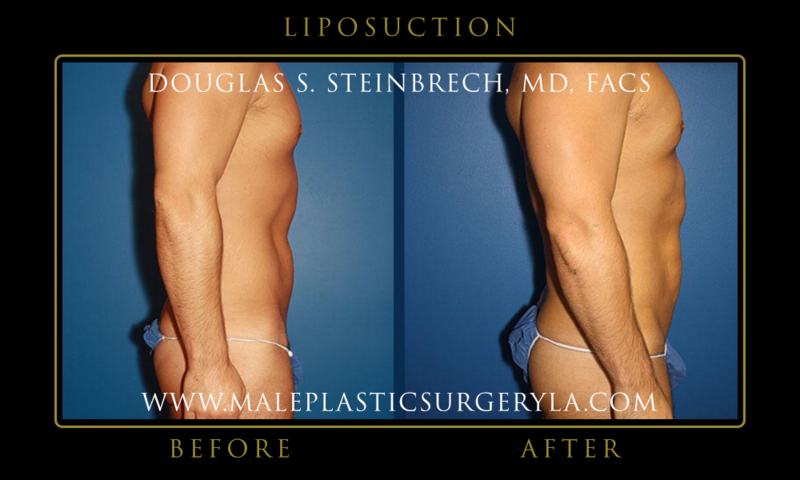 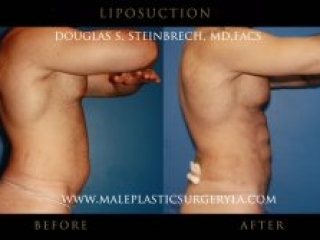 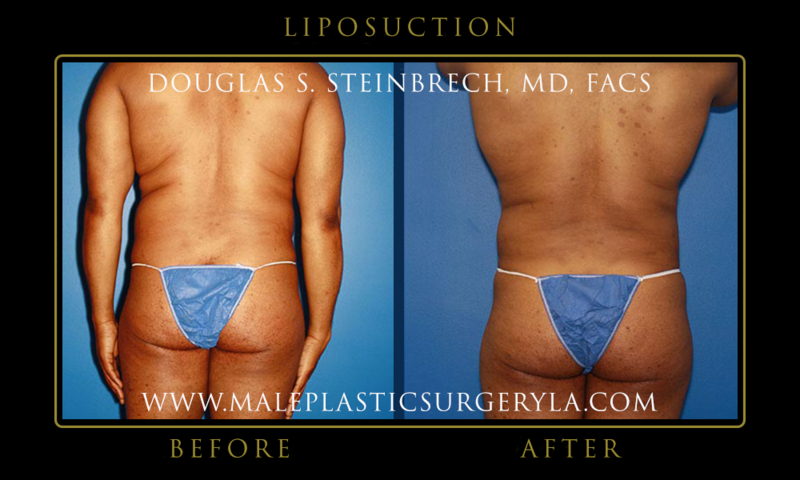 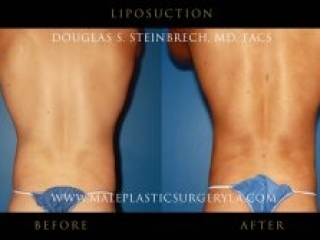 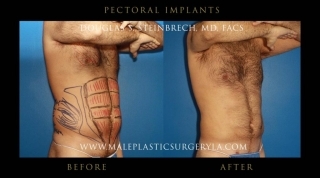 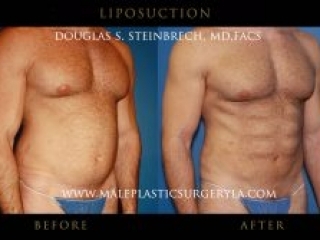 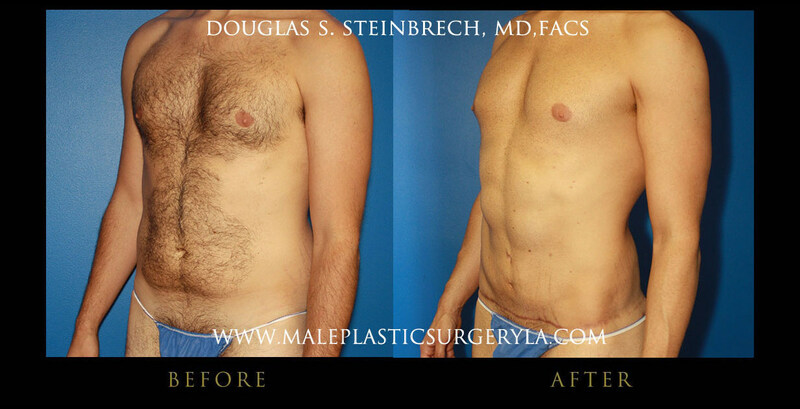 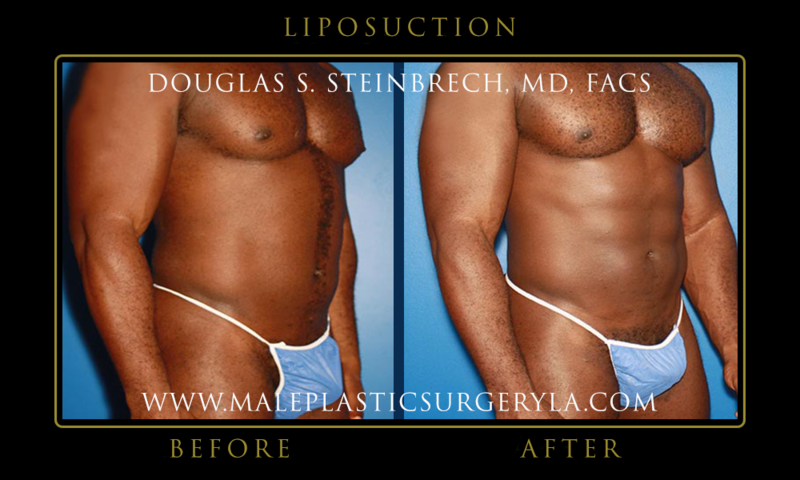 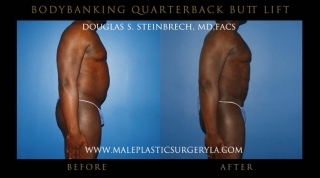 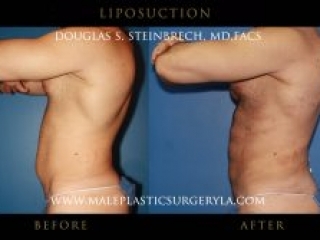 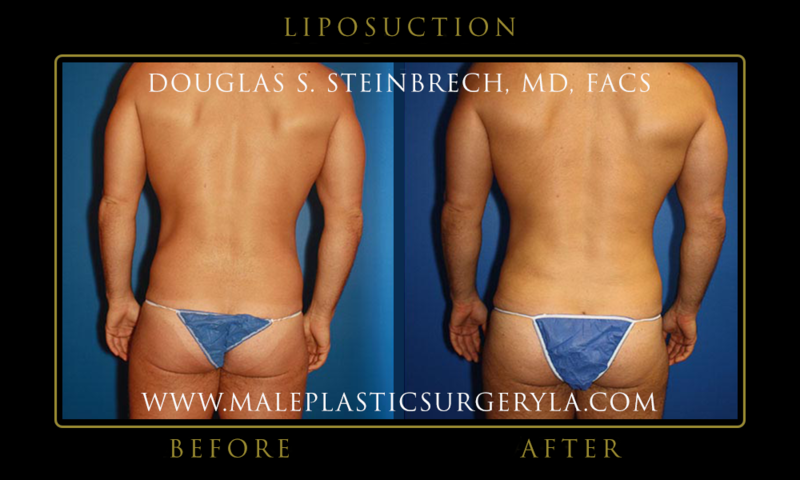 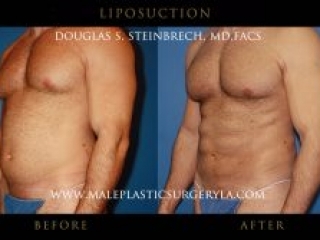 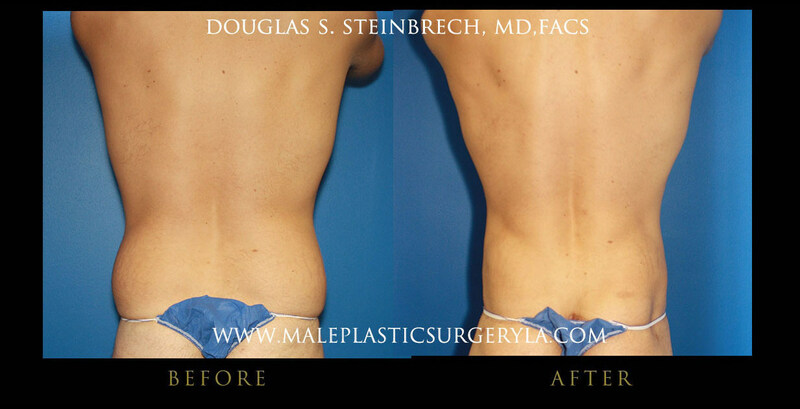 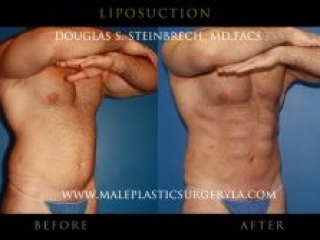 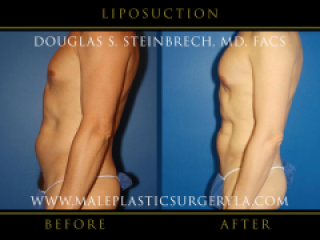 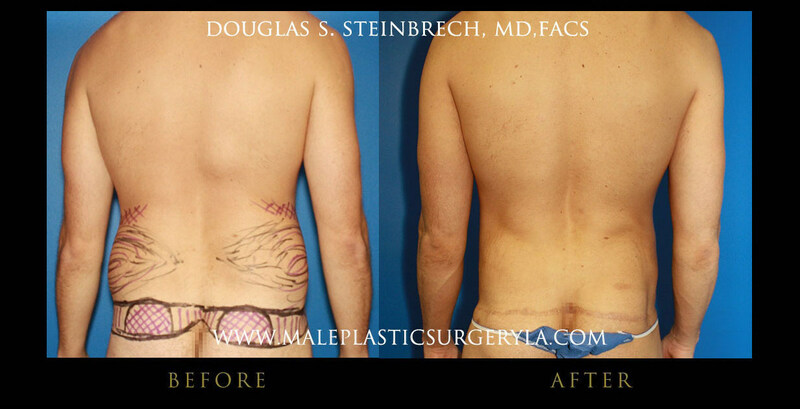 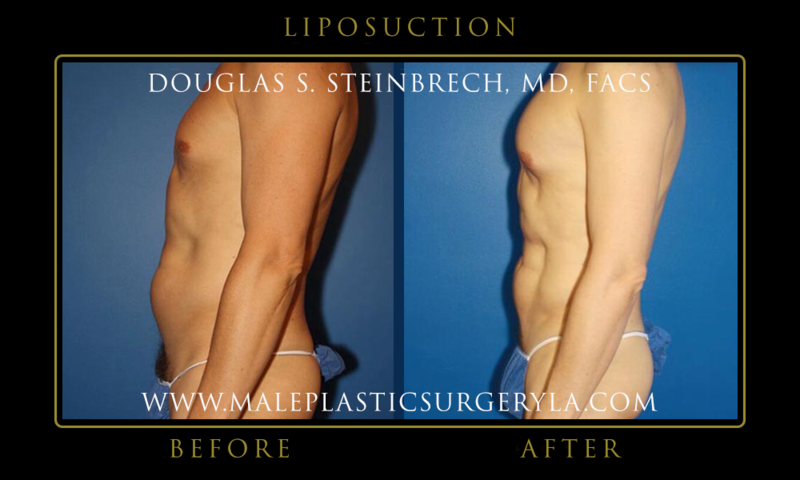 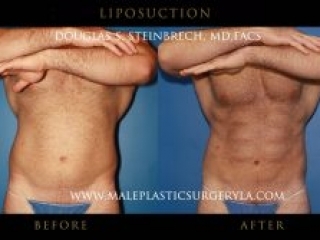 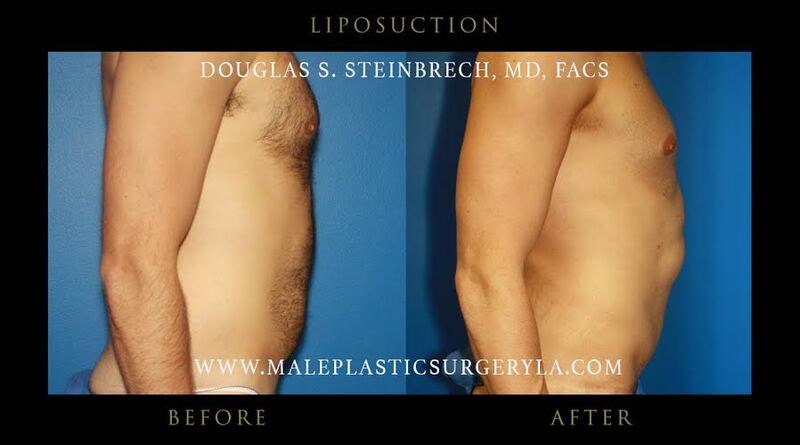 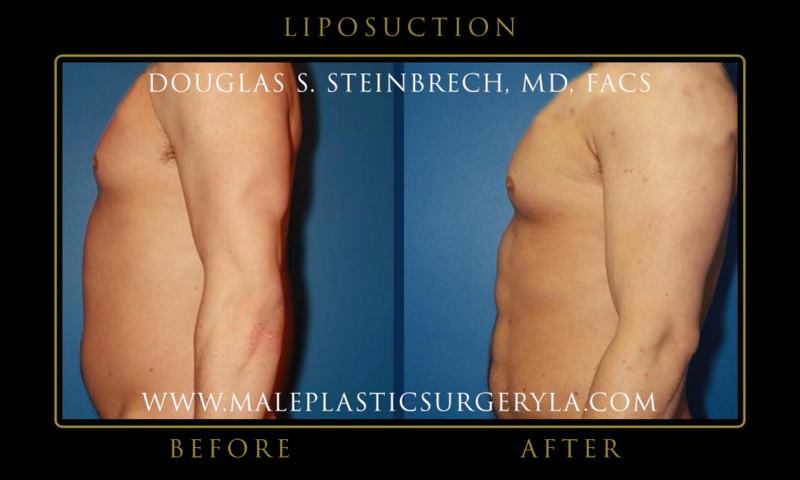 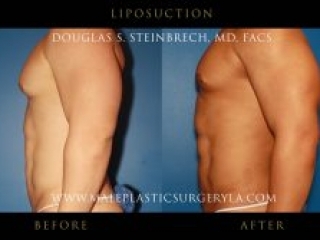 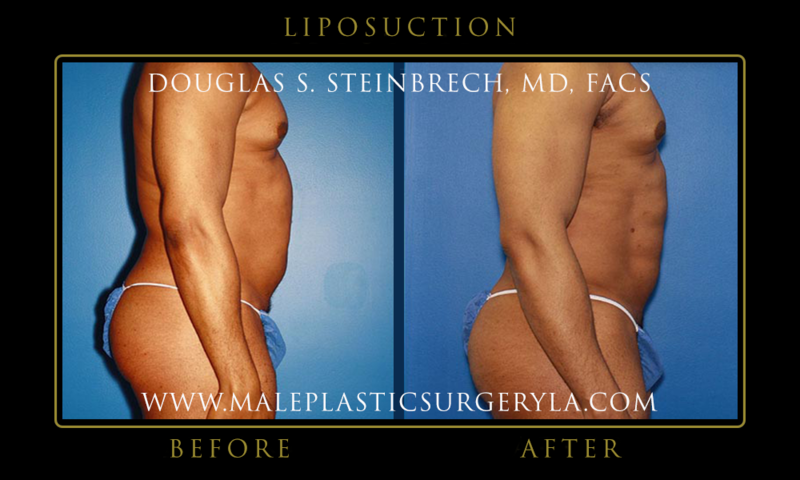 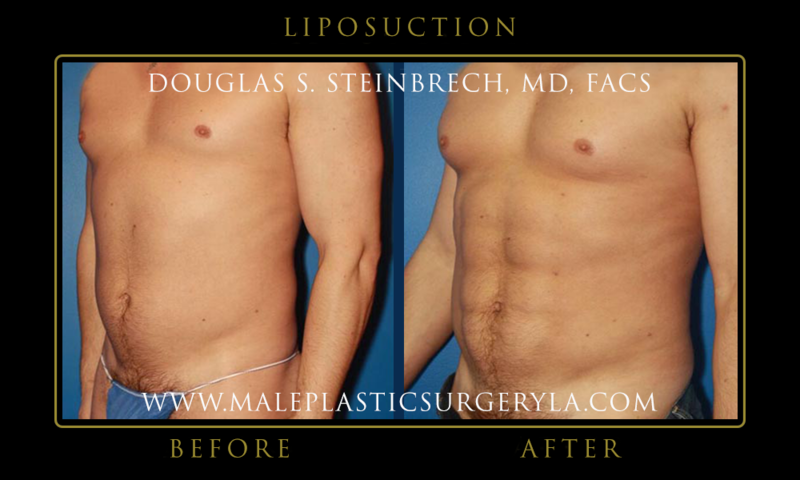 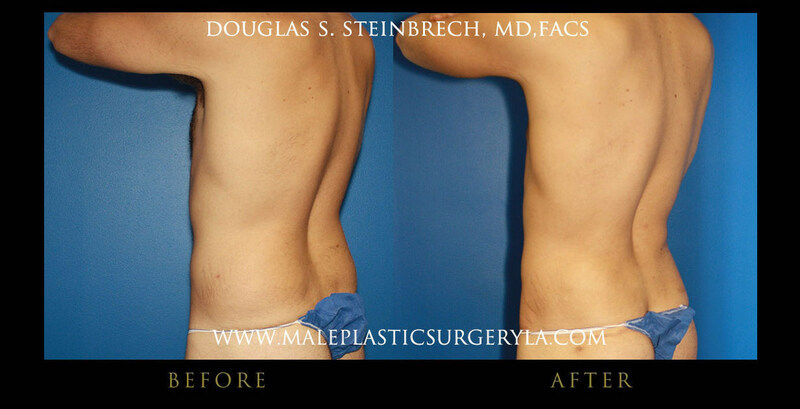 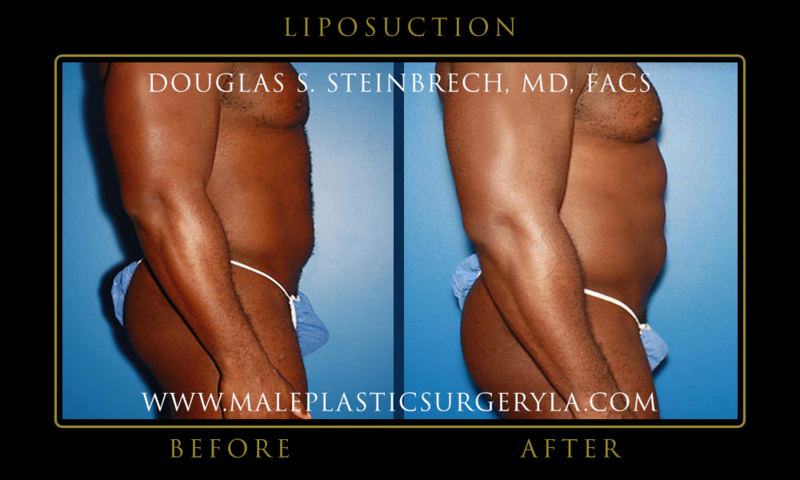 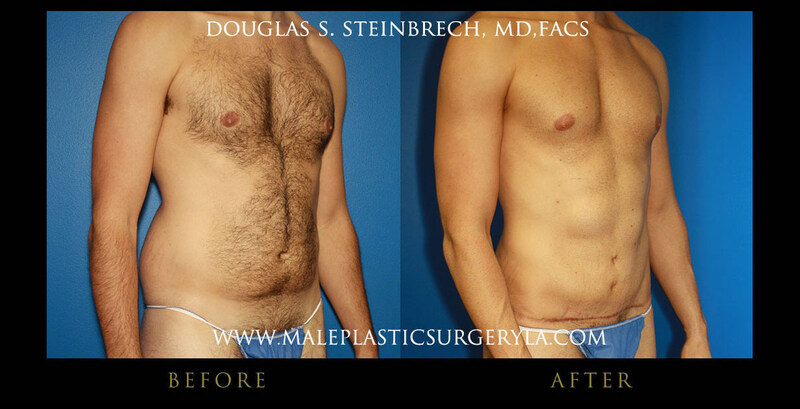 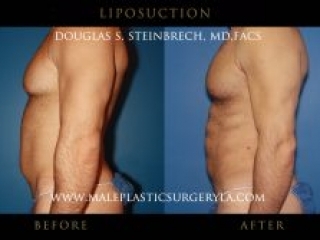 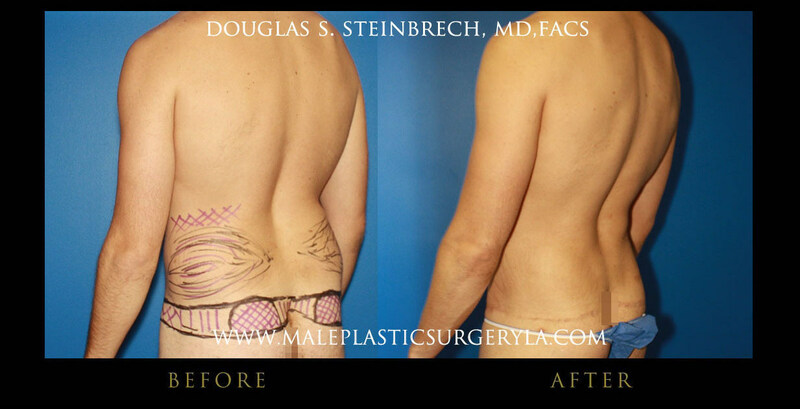 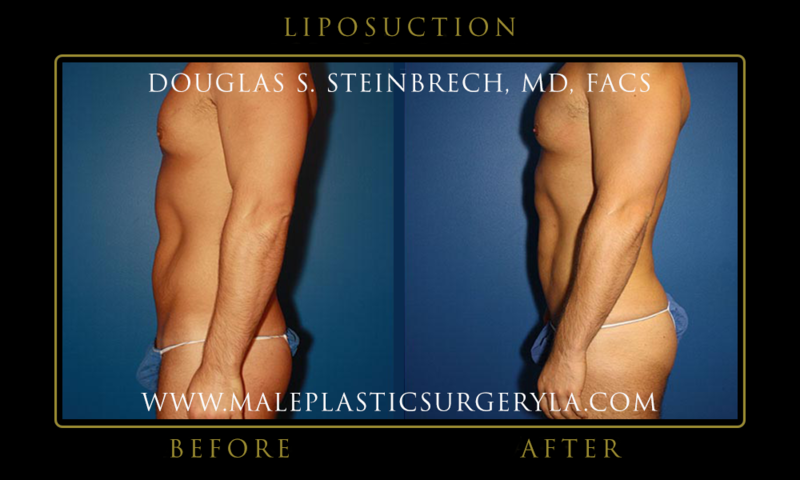 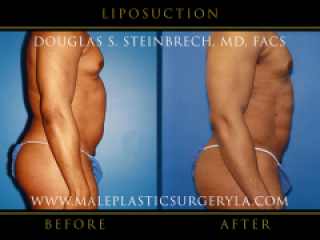 Dr. Steinbrech only specializes in male plastic surgery for his patients in Los Angeles and beverly Hills area. 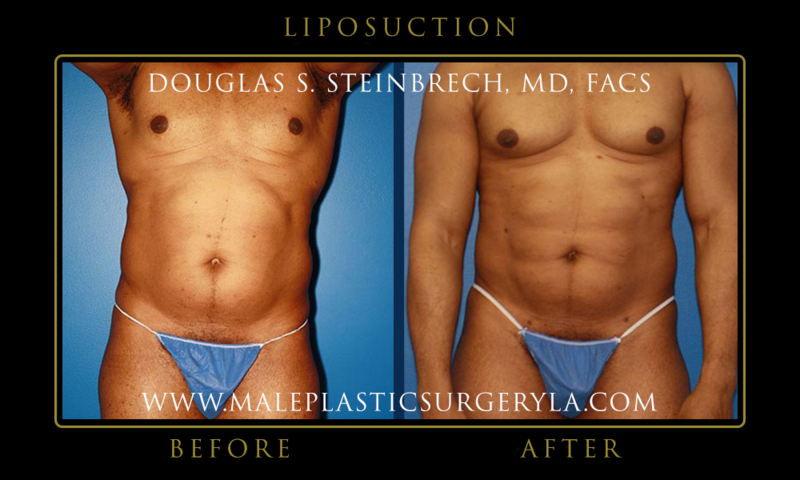 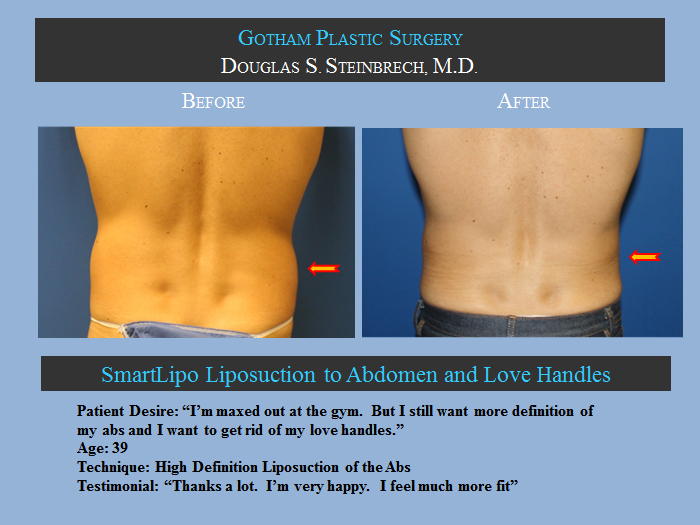 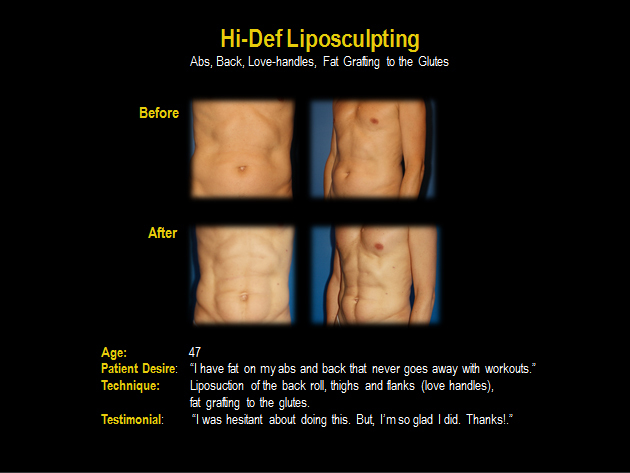 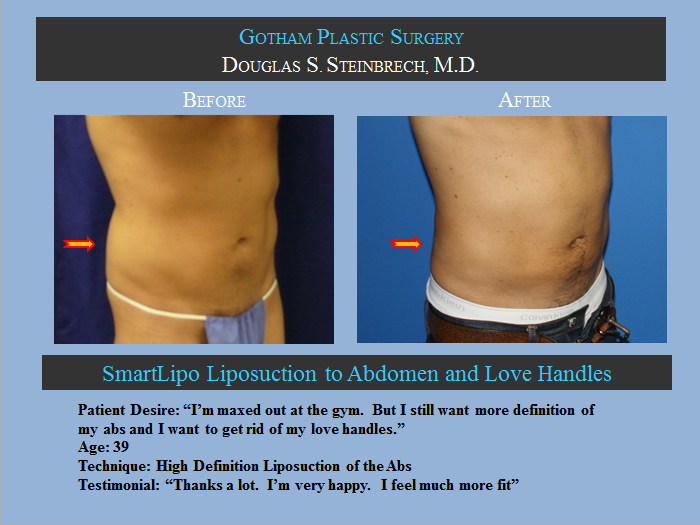 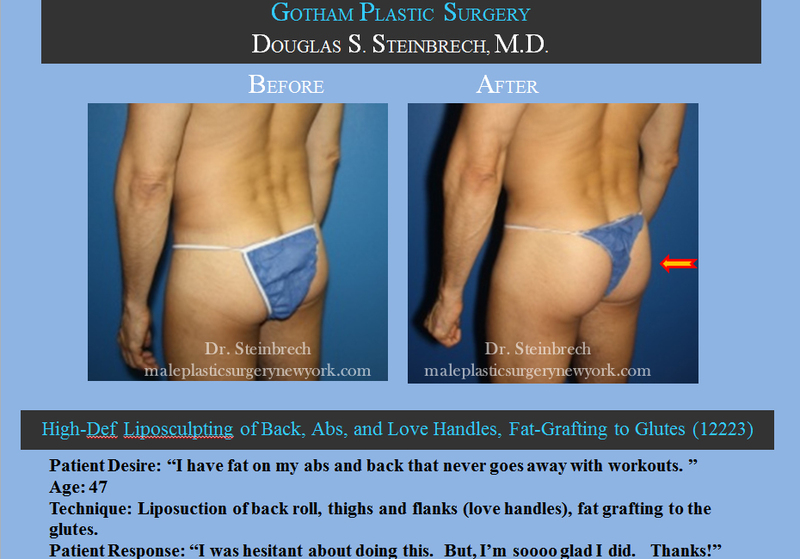 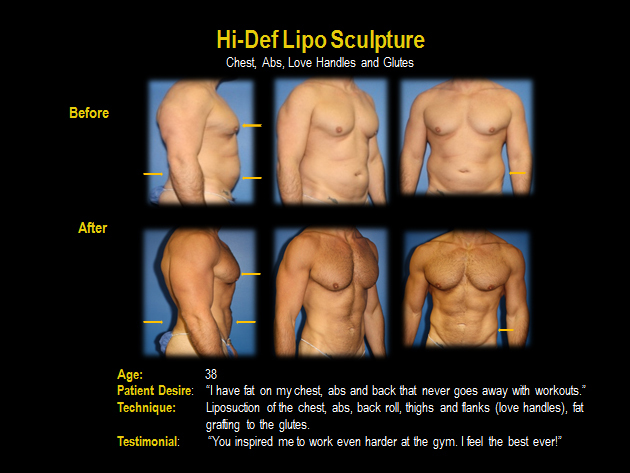 To view before and after photos of male liposuction patients in Los Angeles, CA, please click on each thumbnail to enlarge to full size. To view before and after photos of pectoral implants of patients in Los Angeles, please click on each thumbnail to enlarge to full size. 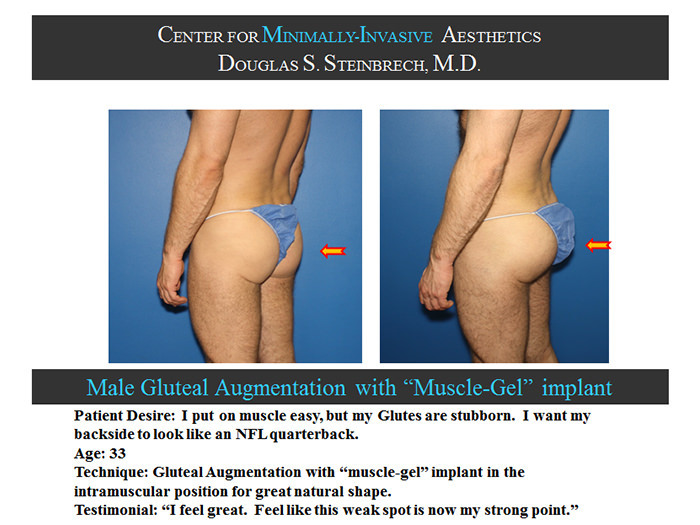 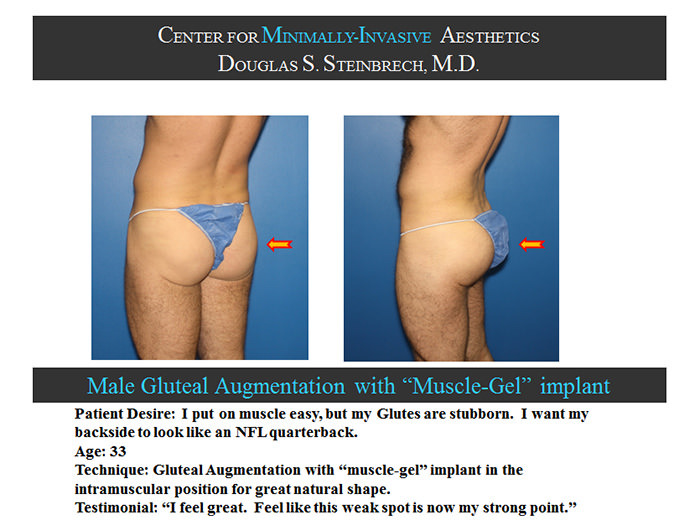 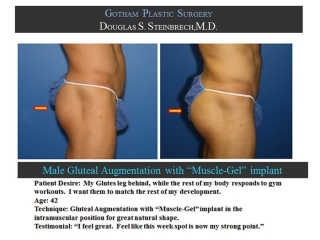 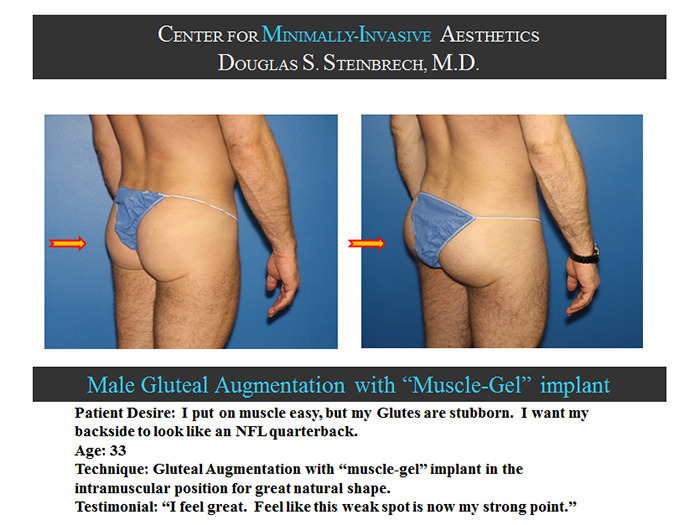 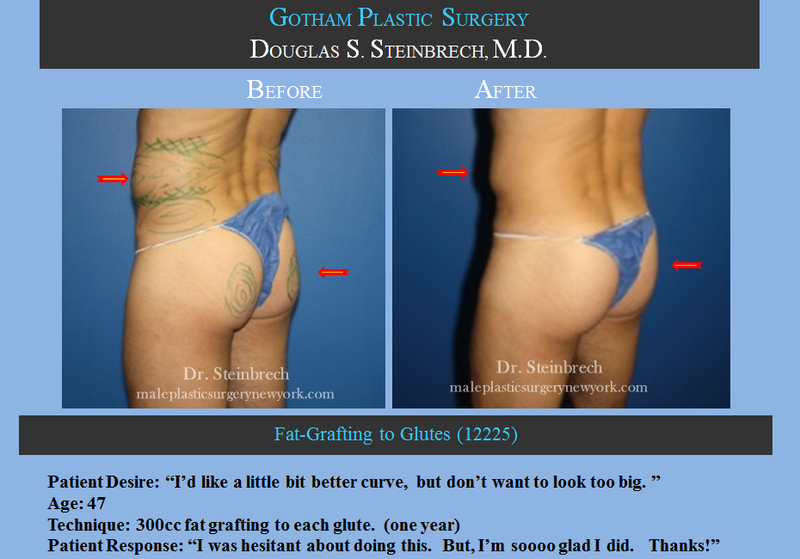 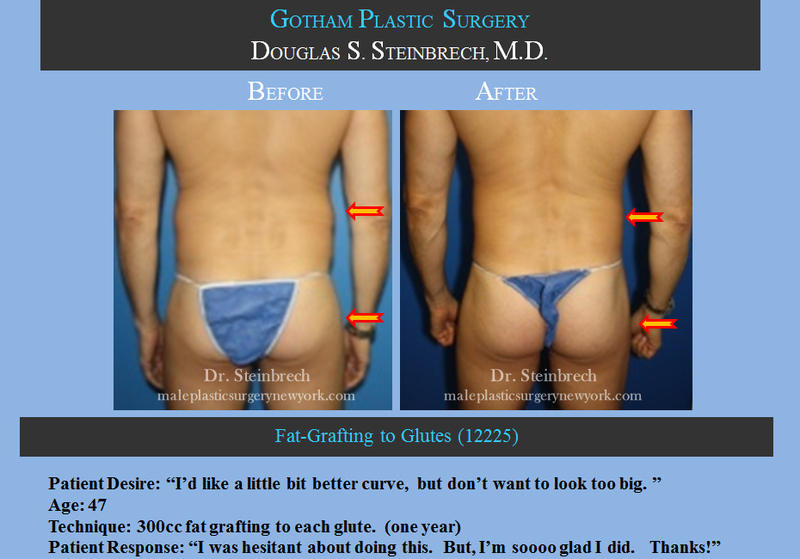 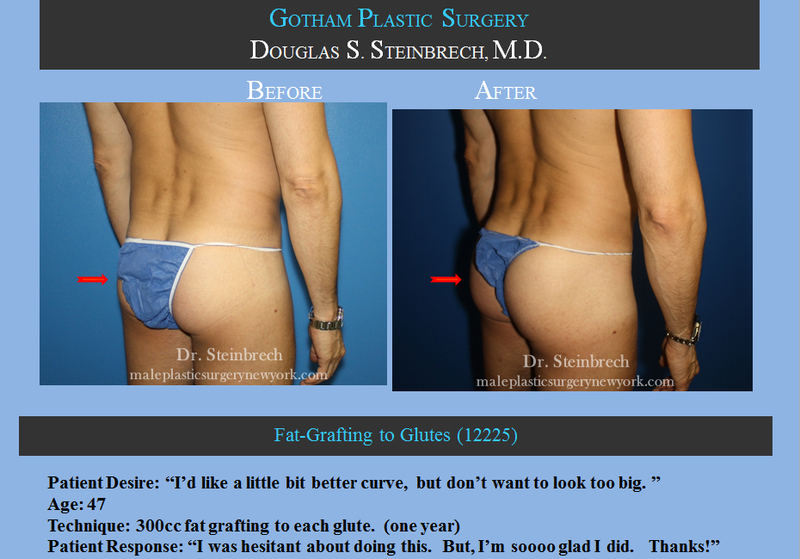 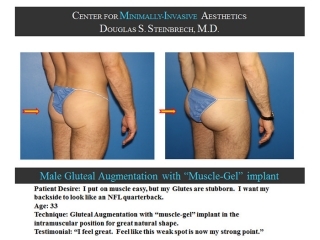 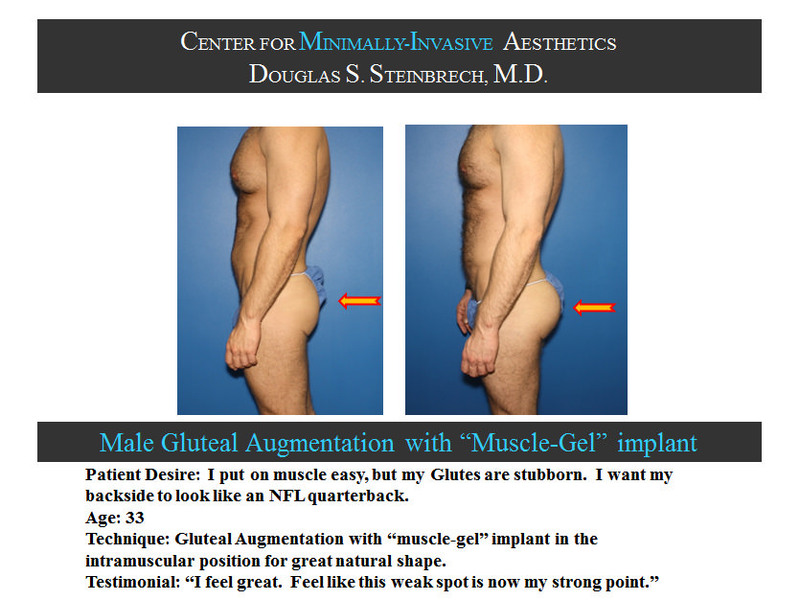 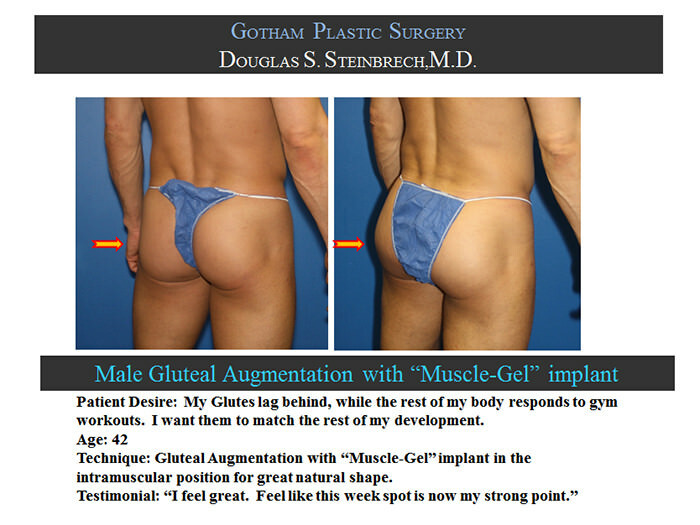 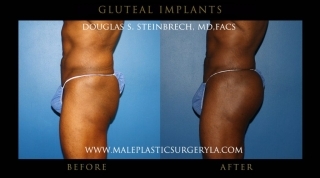 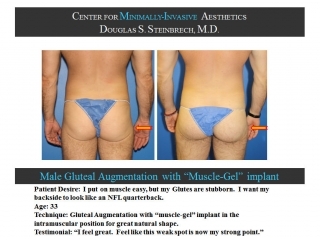 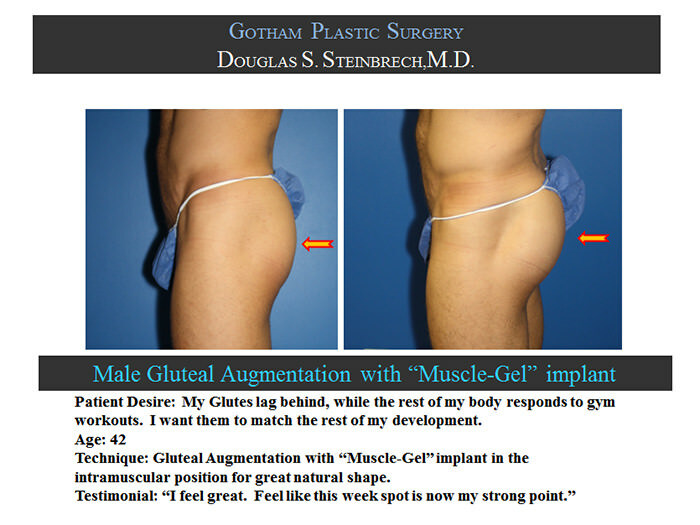 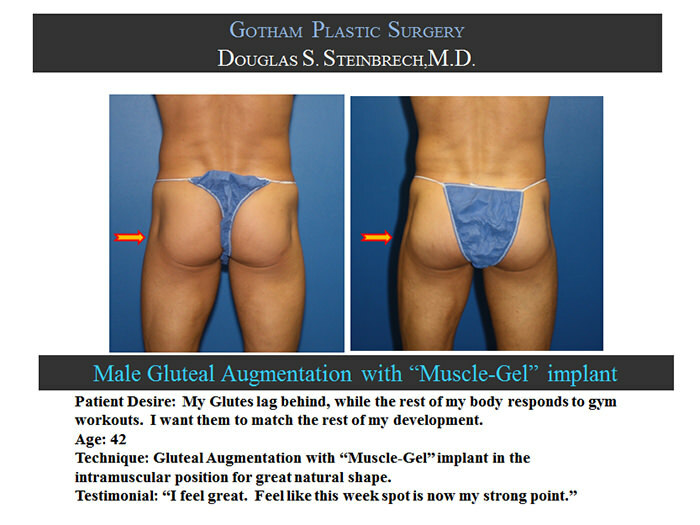 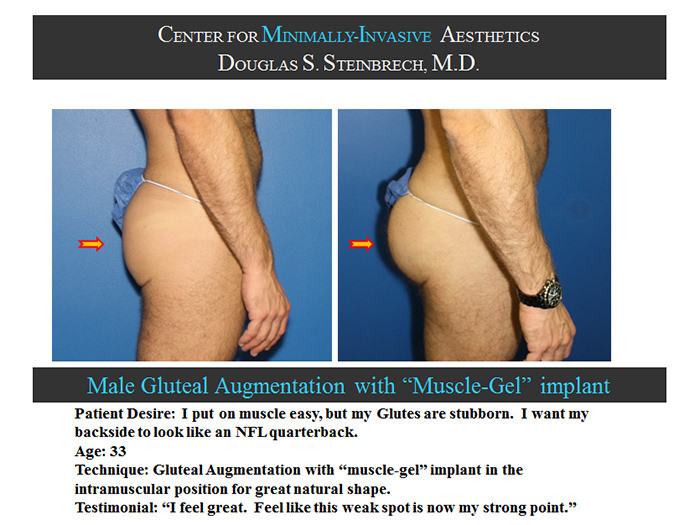 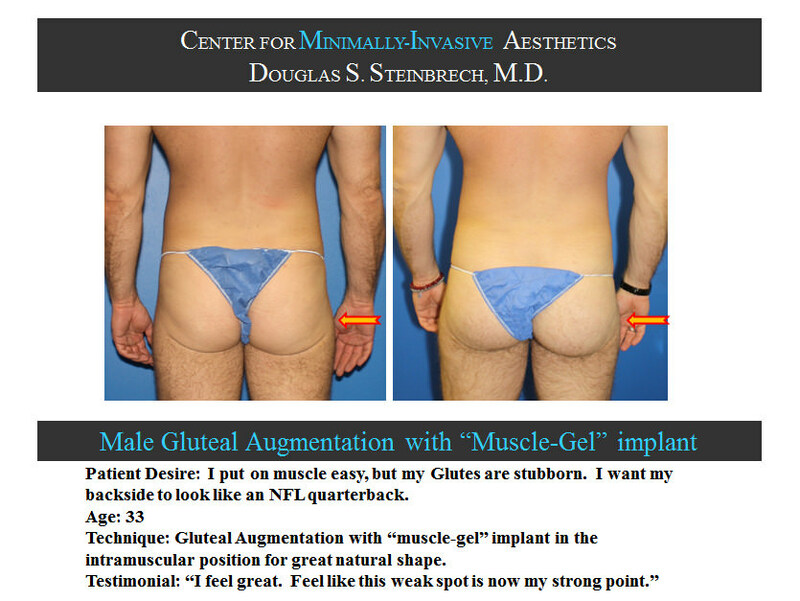 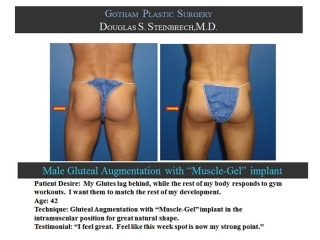 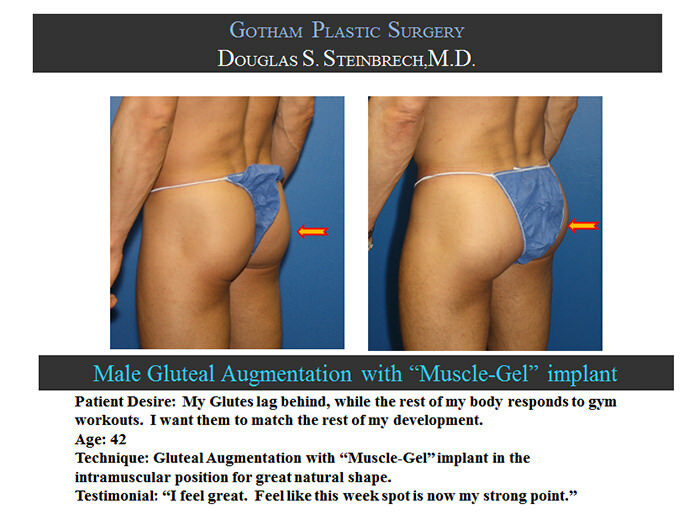 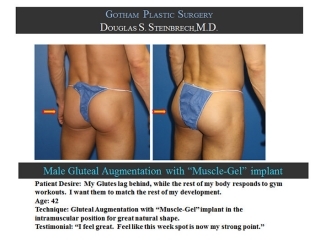 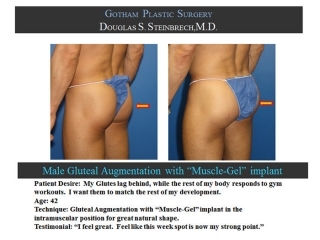 To view before and after photos of male gluteal (buttock) implants of patients in Los Angeles, please click on each thumbnail to enlarge to full size. 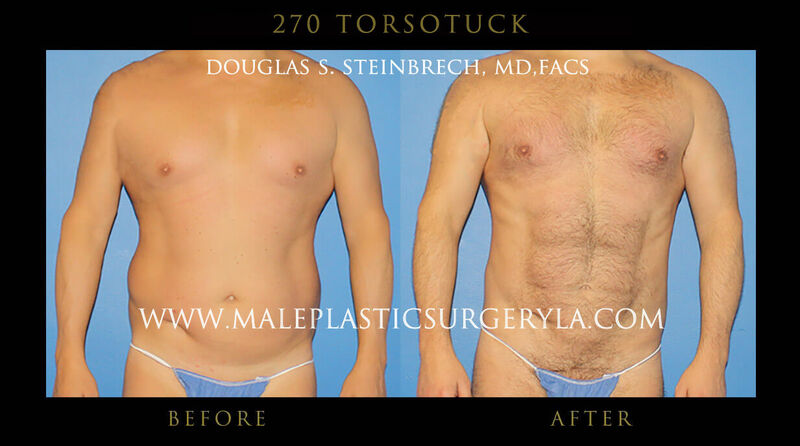 To view before and after photos of Daddy Do-Over® patients in Los Angeles, please click on each thumbnail to enlarge to full size. 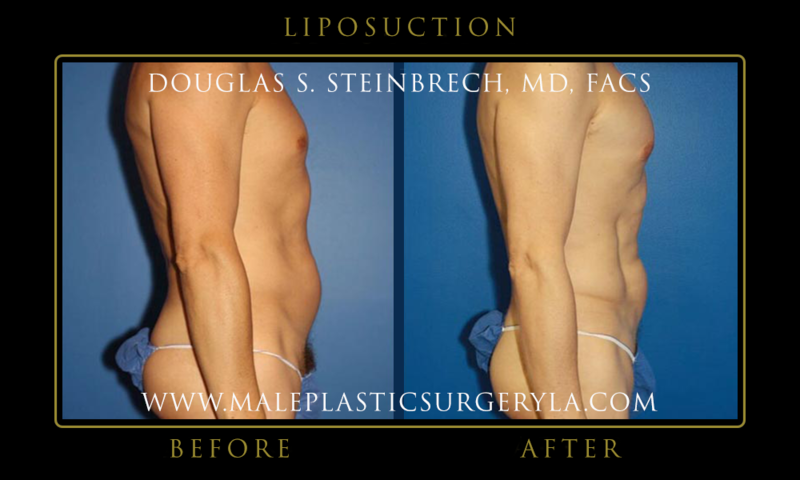 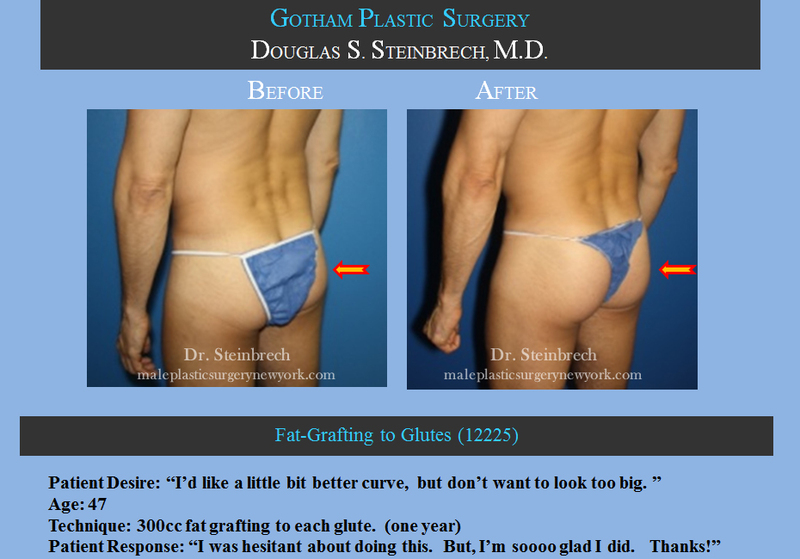 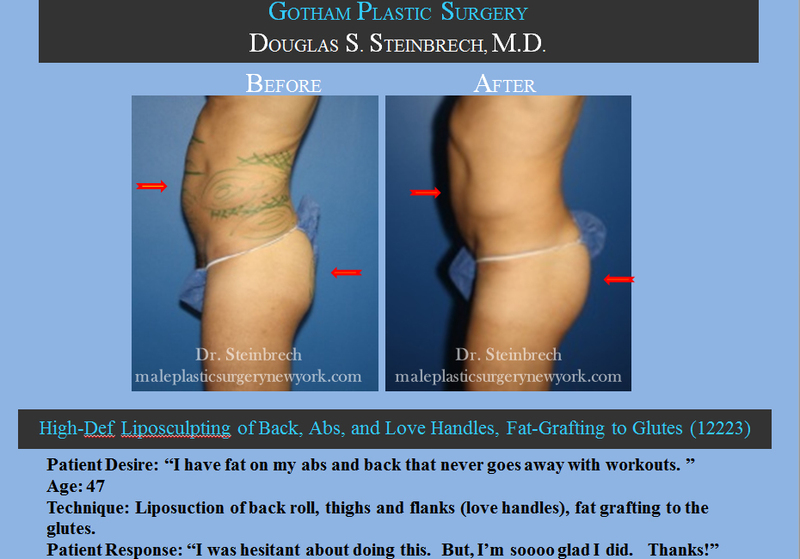 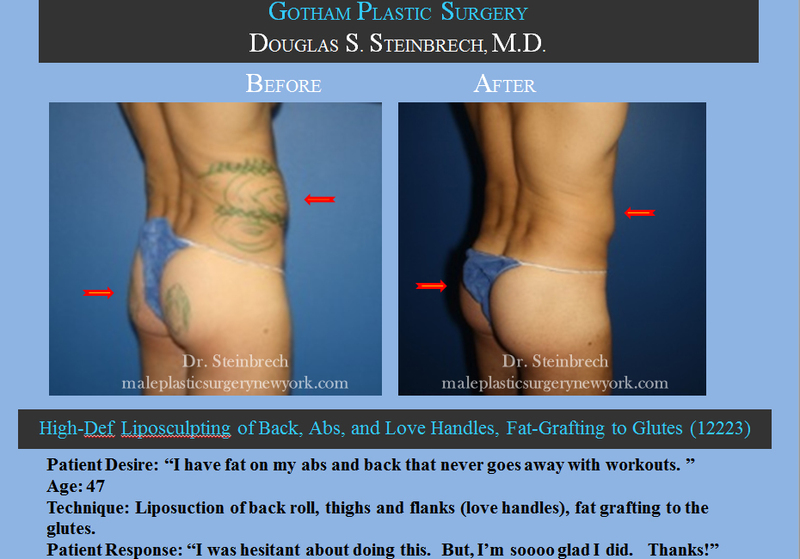 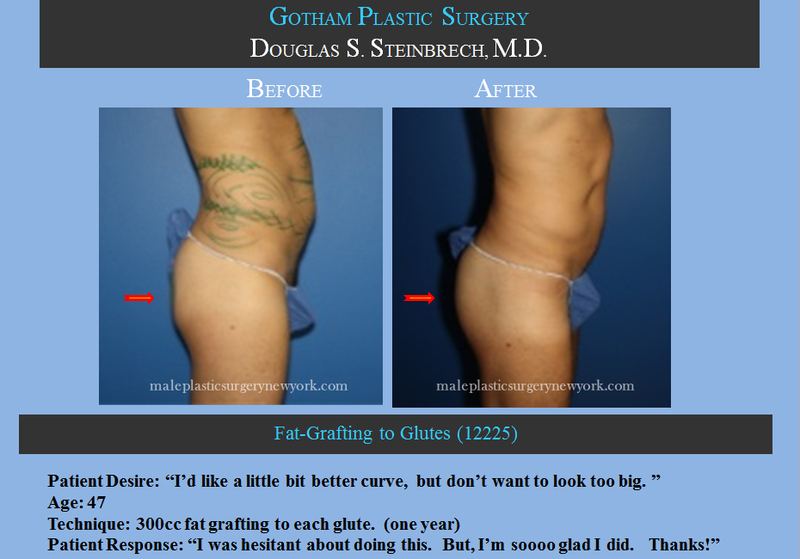 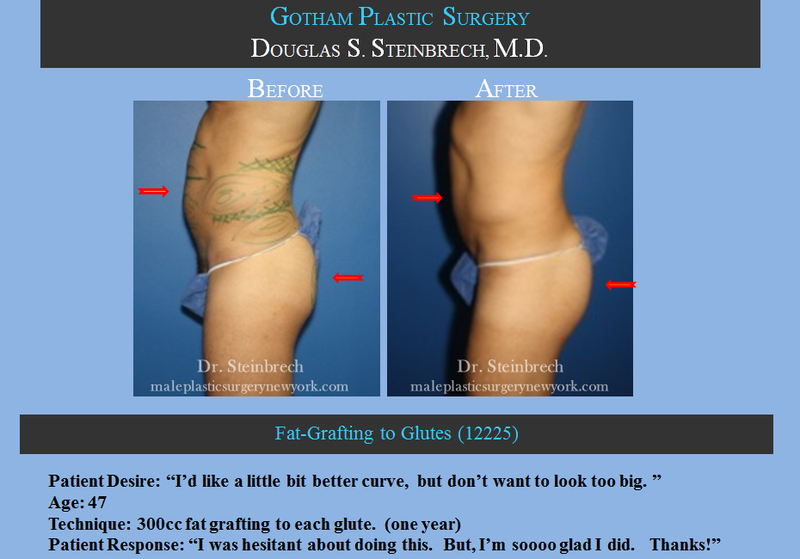 To view before and after photos of Fat Grafting patients in Los Angeles, please click on each thumbnail to enlarge to full size. 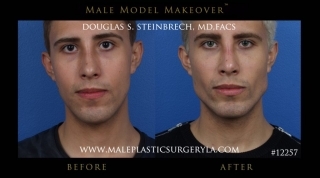 To view before and after photos of male facelifts of Los Angeles patients, please click on each thumbnail to enlarge to full size. 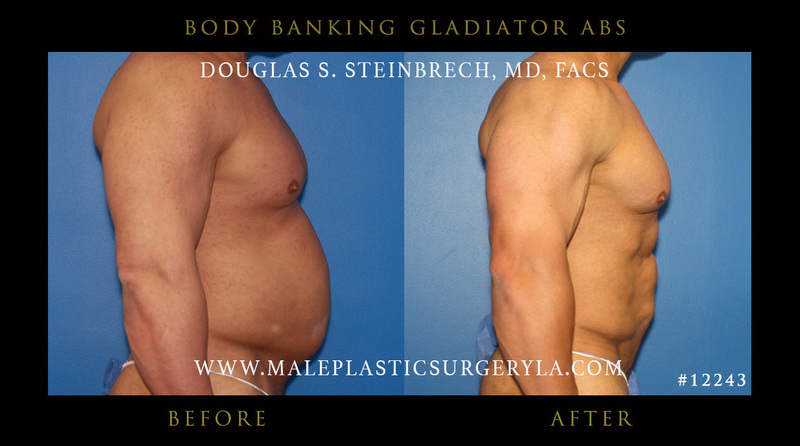 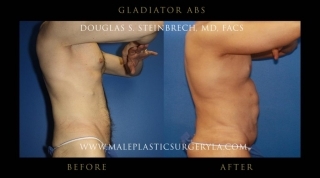 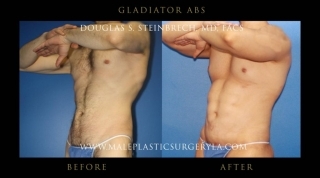 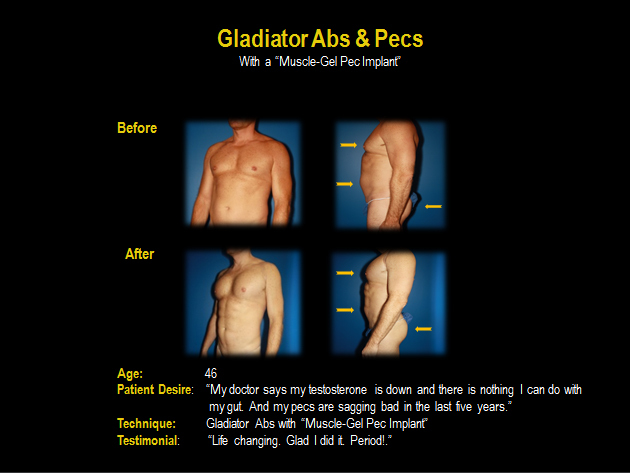 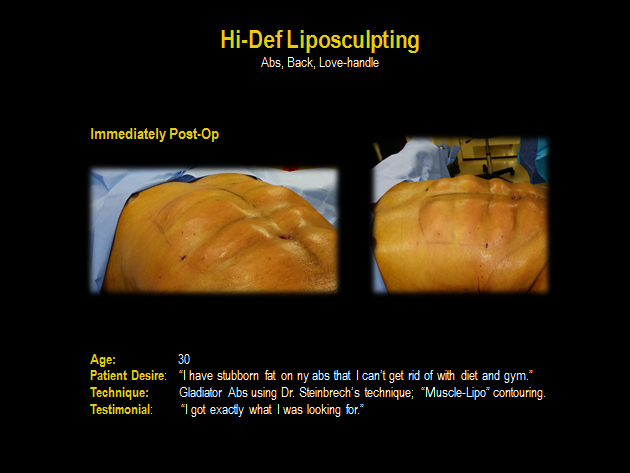 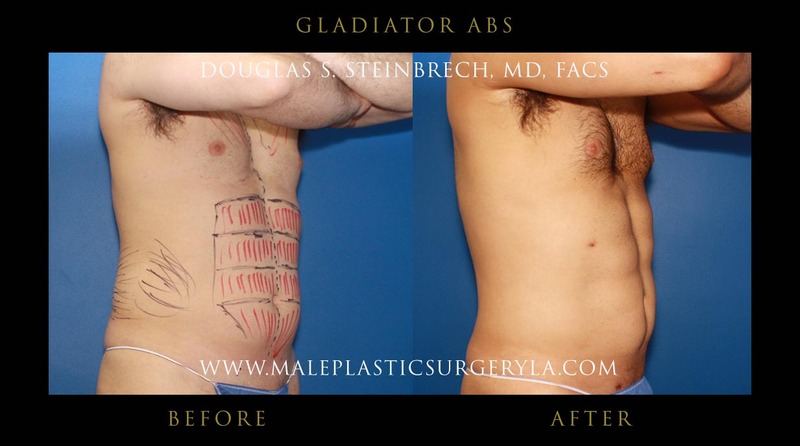 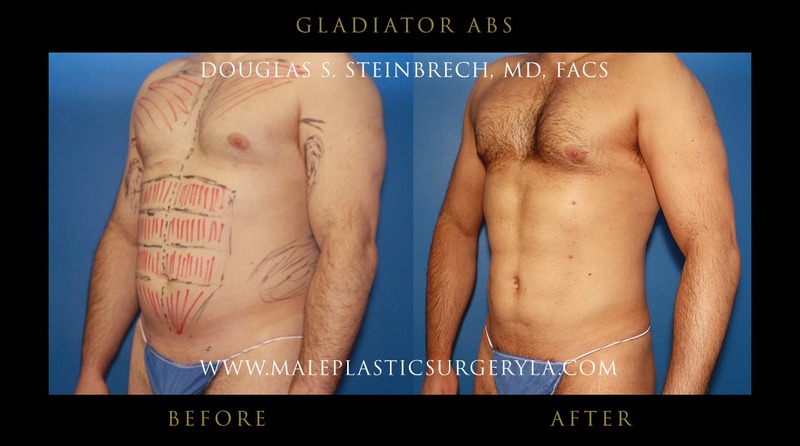 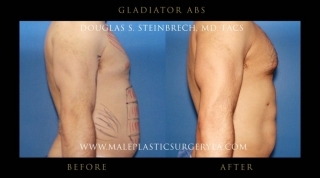 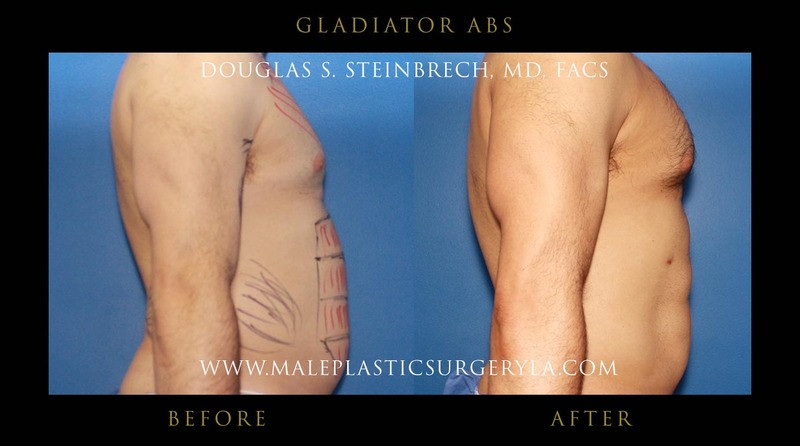 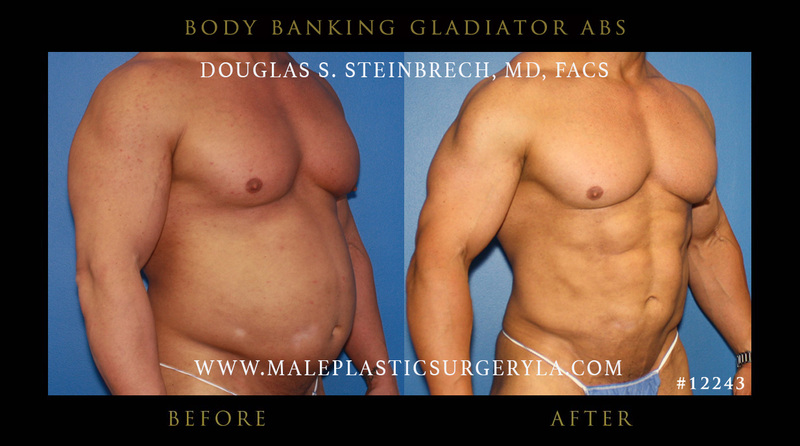 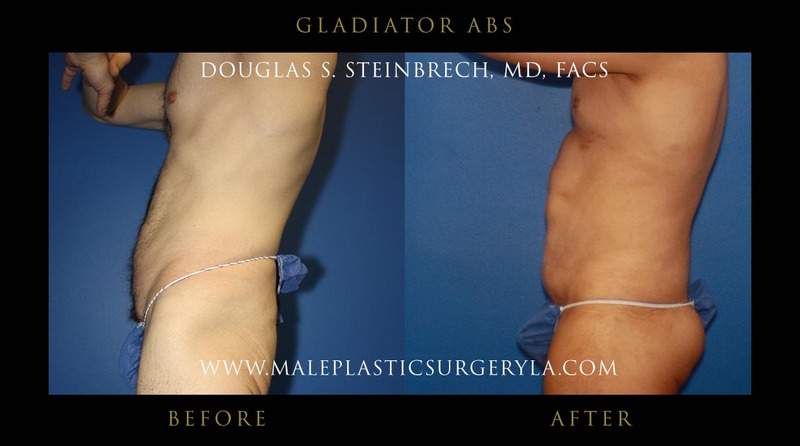 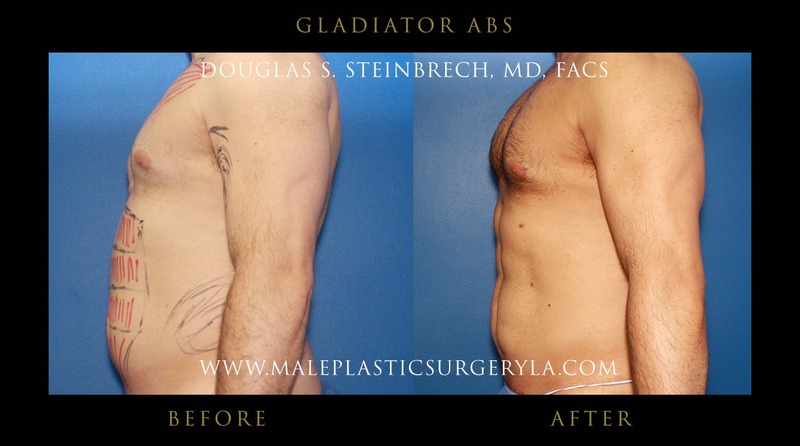 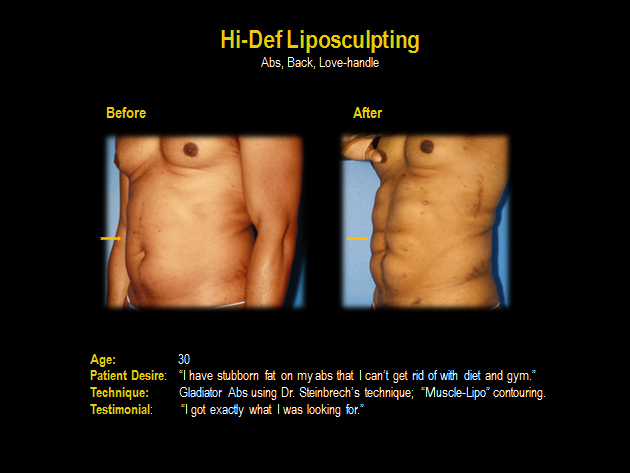 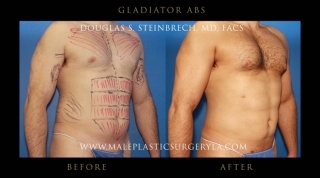 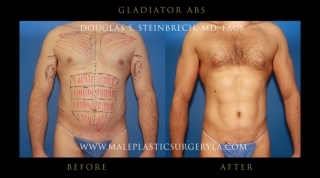 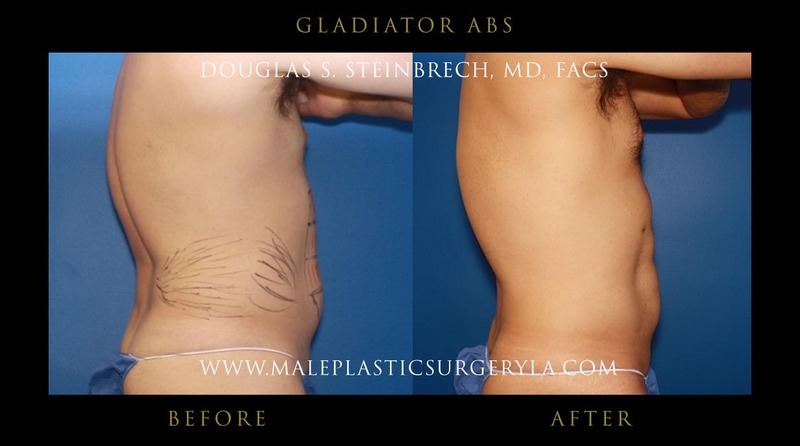 To view before and after photos of Male Gladiator Abs patients in Los Angeles, please click on each thumbnail to enlarge to full size. 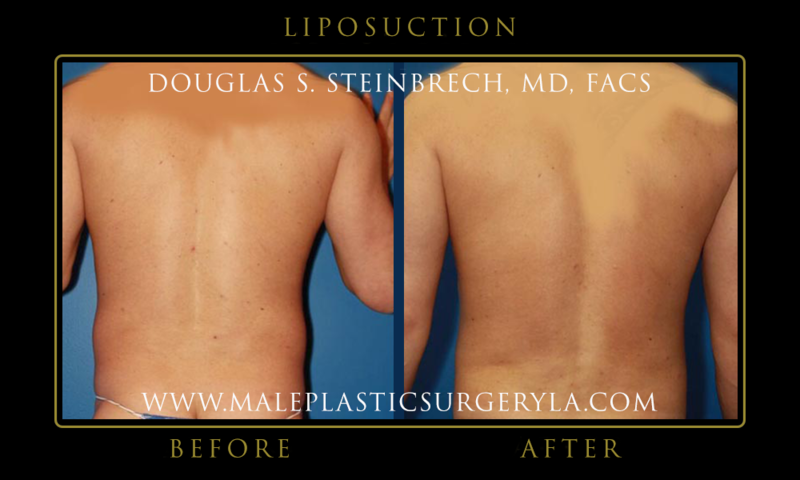 To view before and after photos of BodyBanking® patients in Los Angeles, please click on each thumbnail to enlarge to full size. 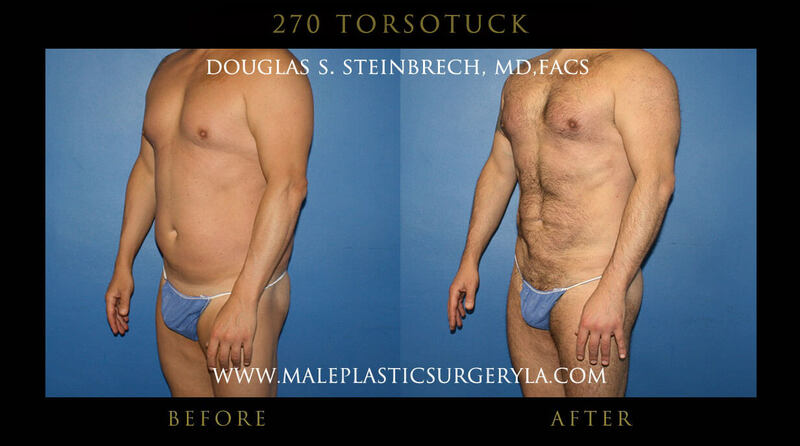 To view before and after photos of 270 Torso Tuck® patients in Los Angeles, please click on each thumbnail to enlarge to full size. 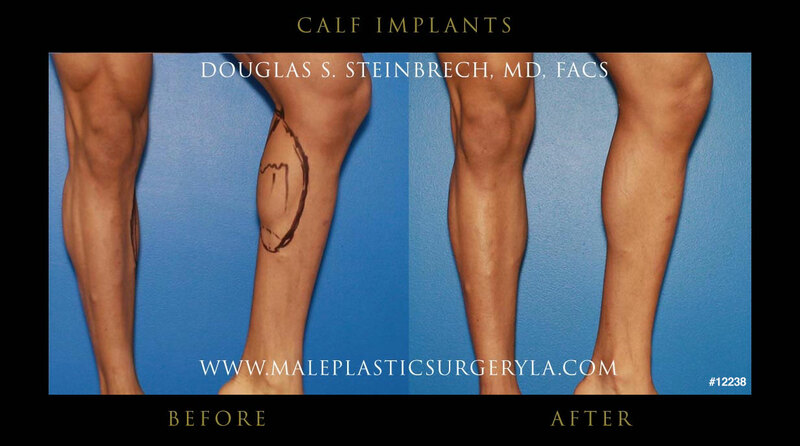 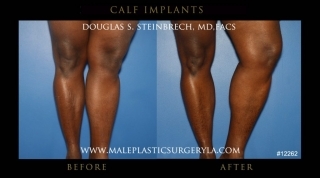 To view before and after photos of Calf Implants patients in Los Angeles, please click on each thumbnail to enlarge to full size. 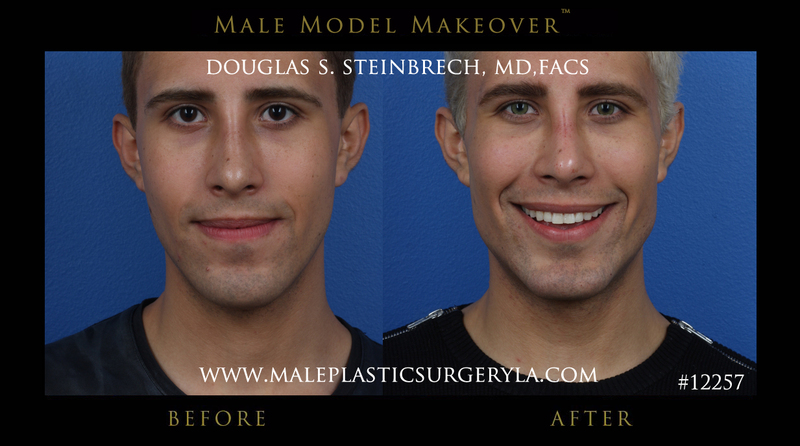 To view before and after photos of patients in Los Angeles, please click on each thumbnail to enlarge to full size.